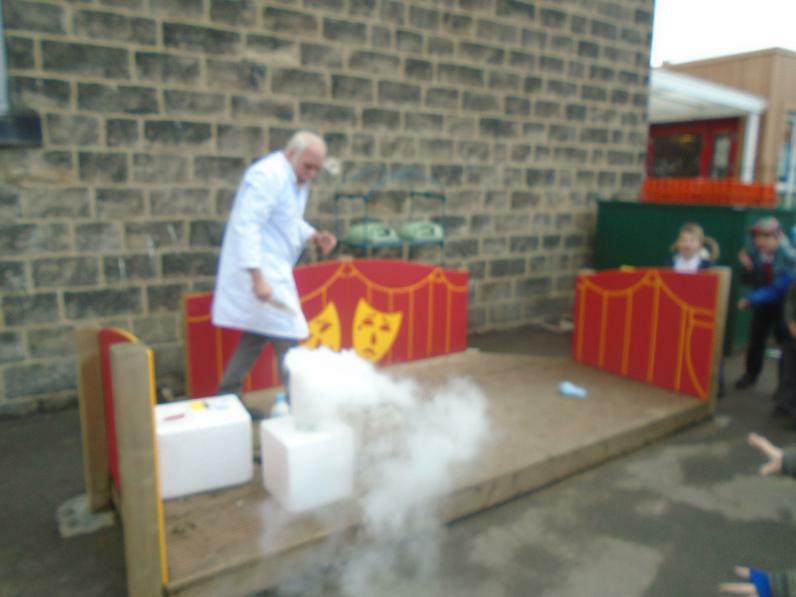 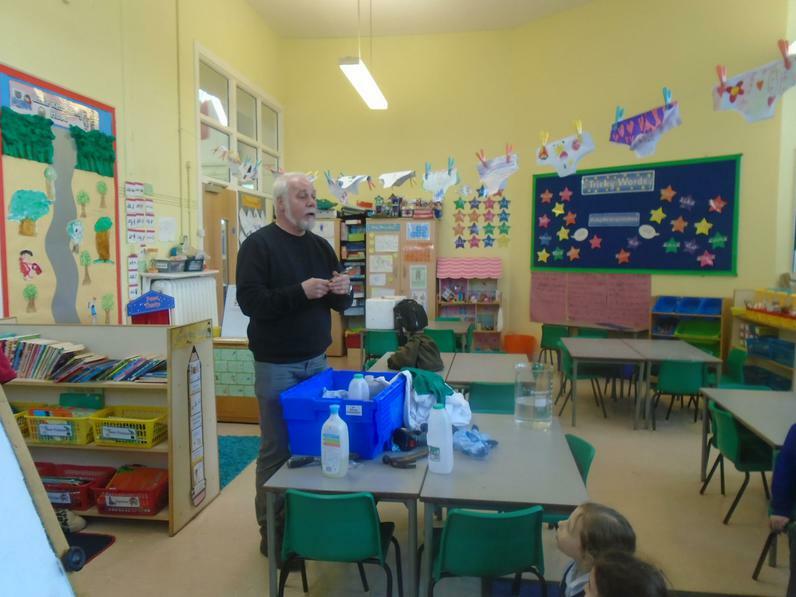 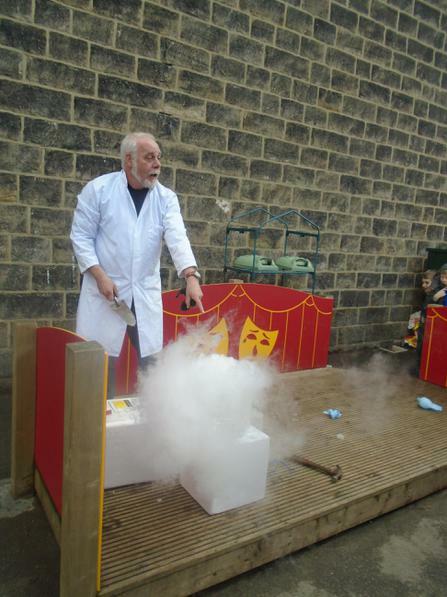 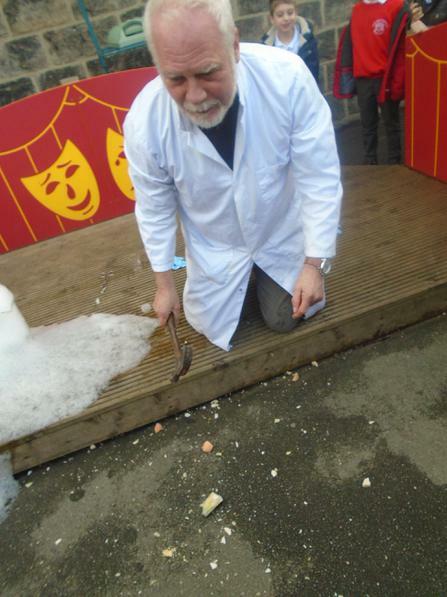 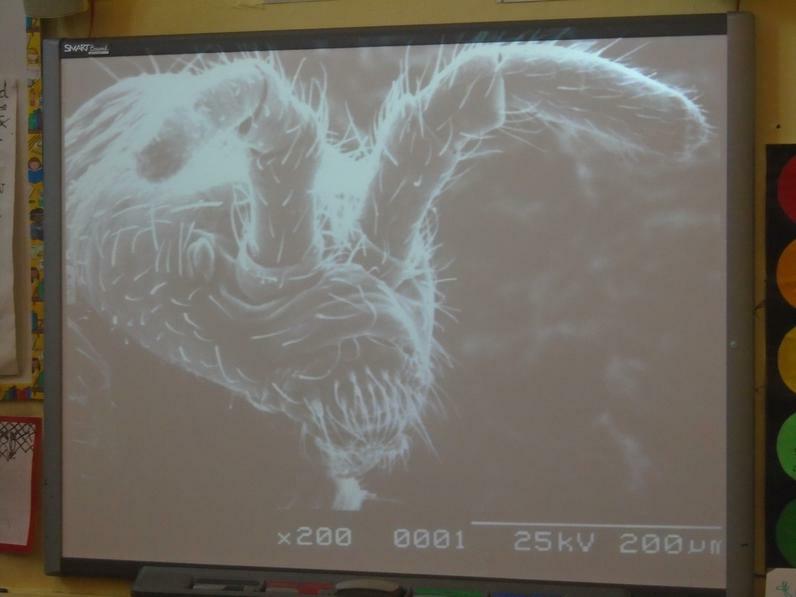 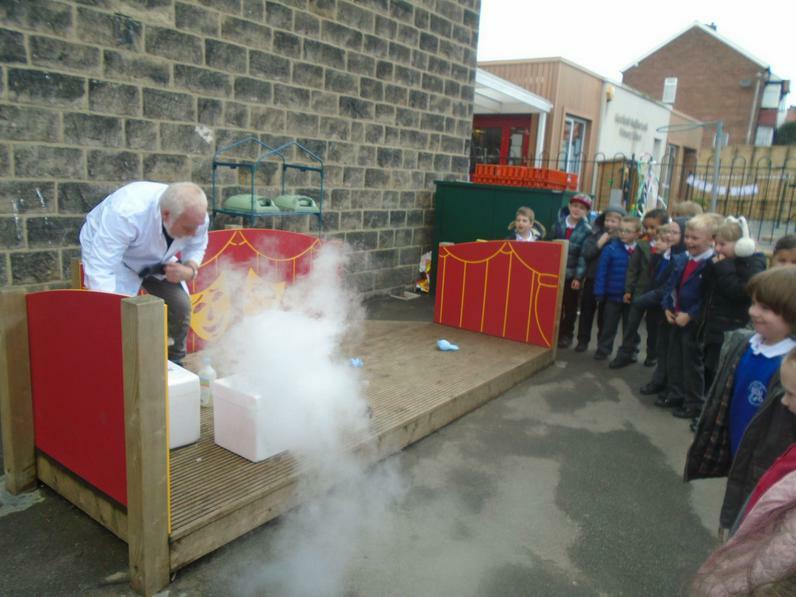 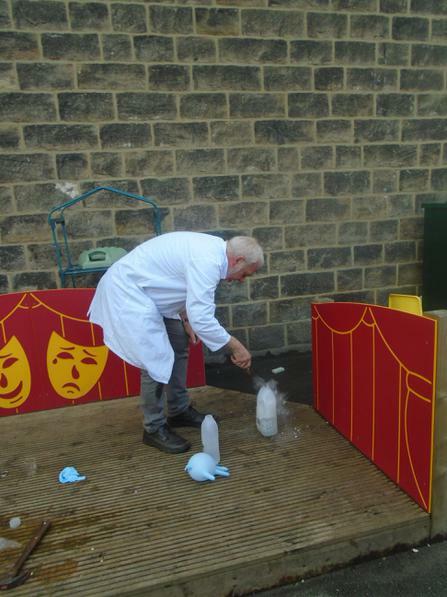 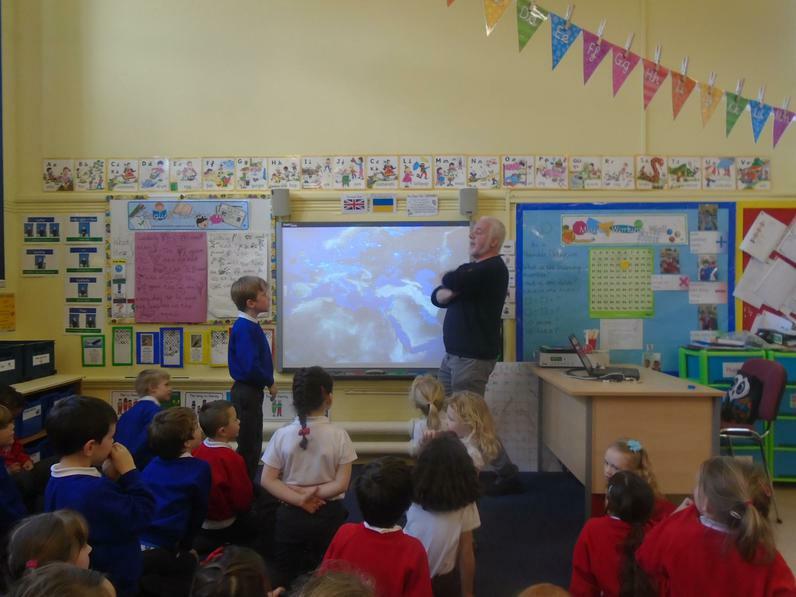 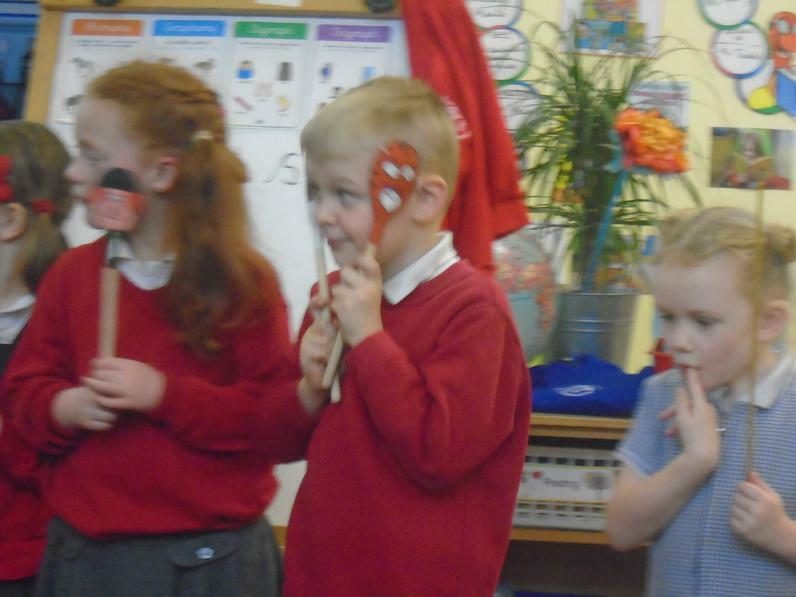 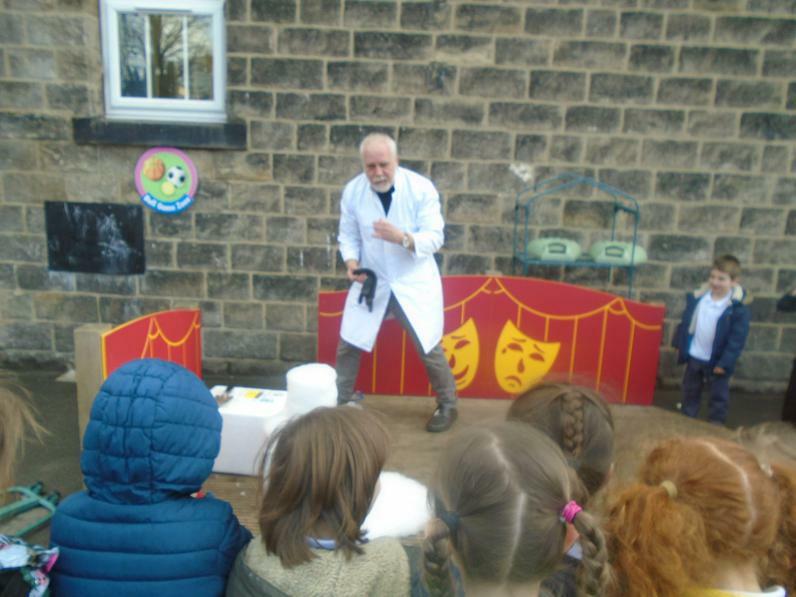 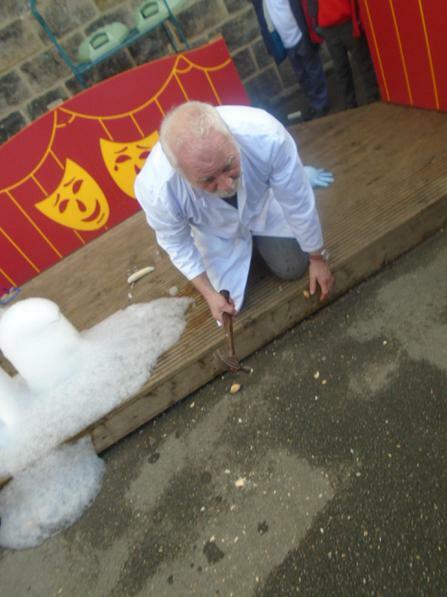 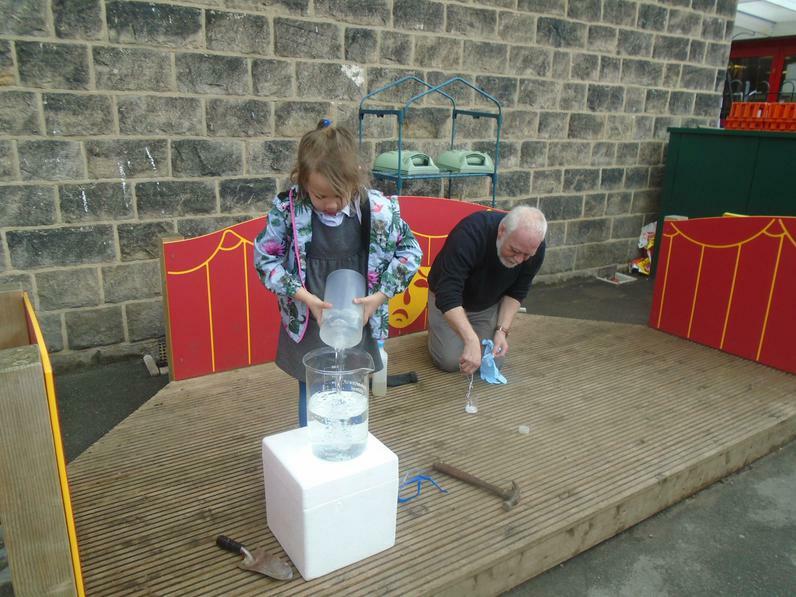 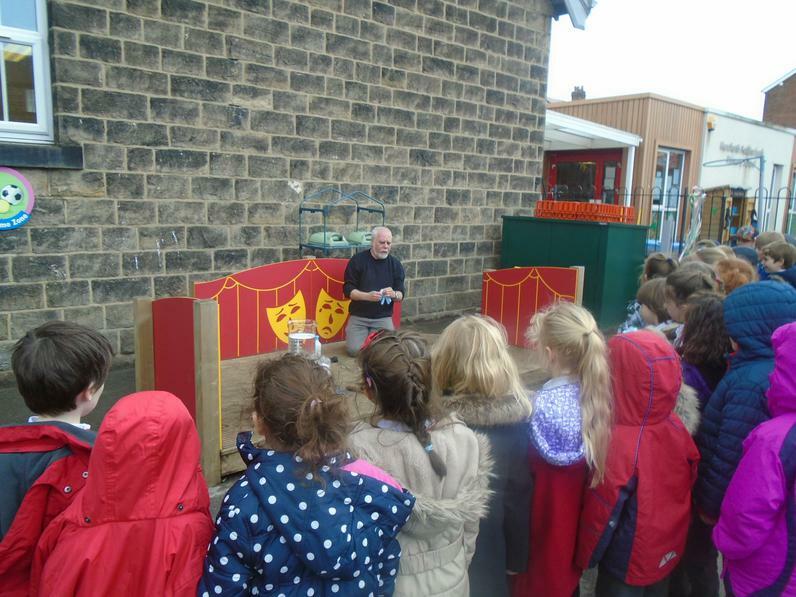 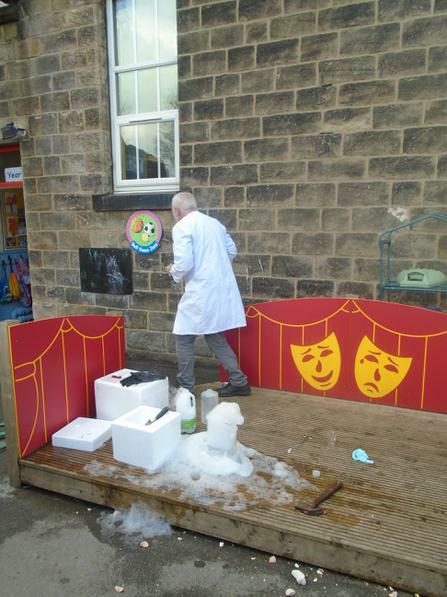 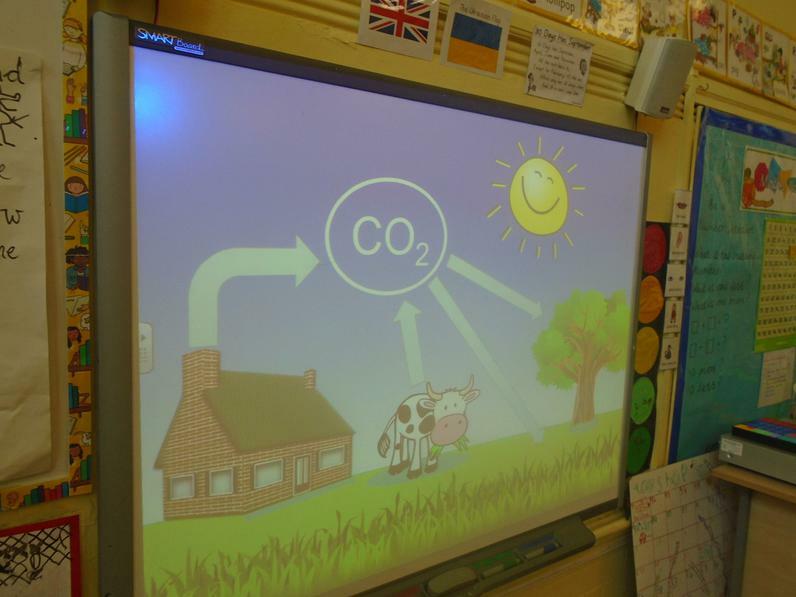 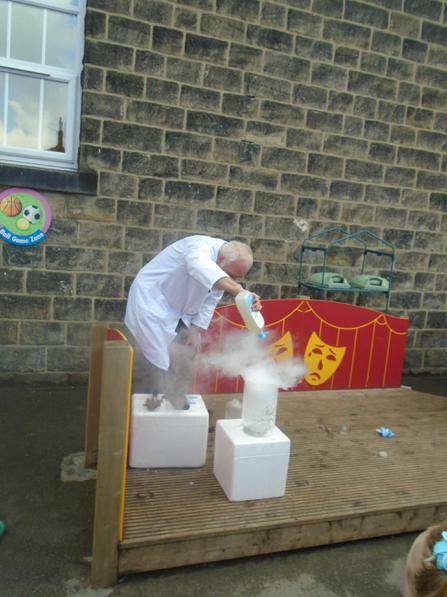 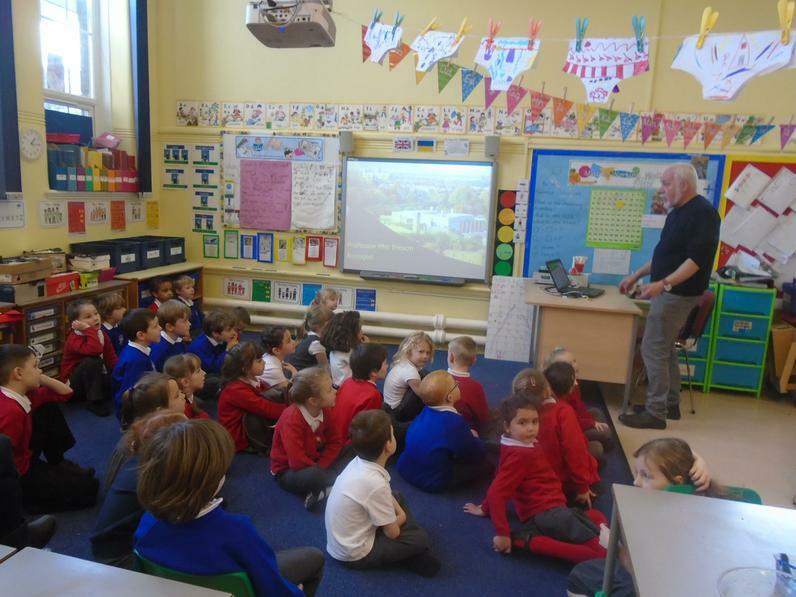 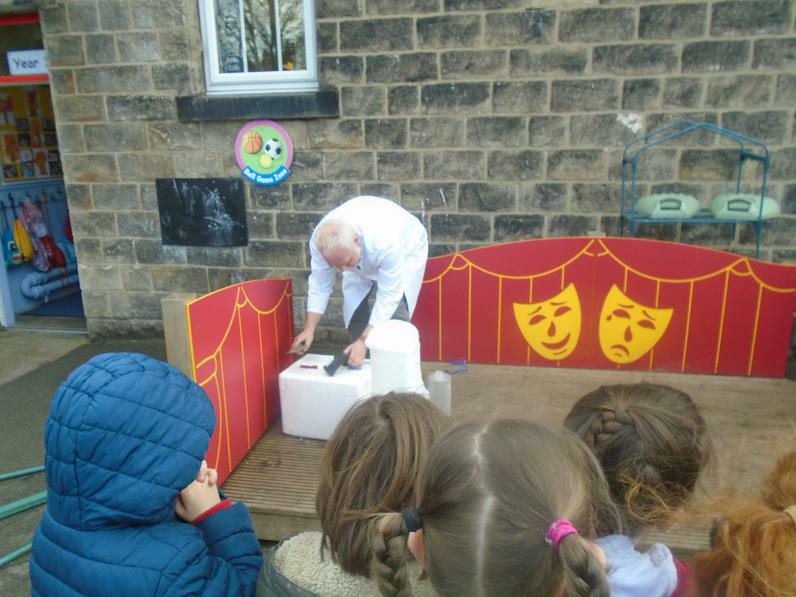 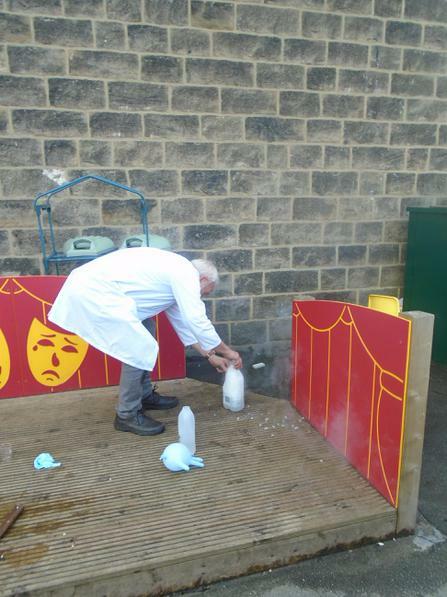 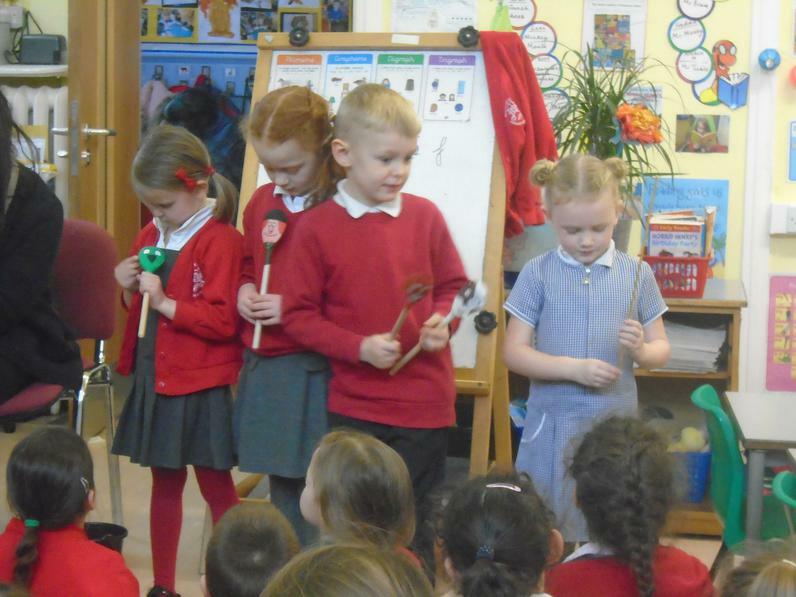 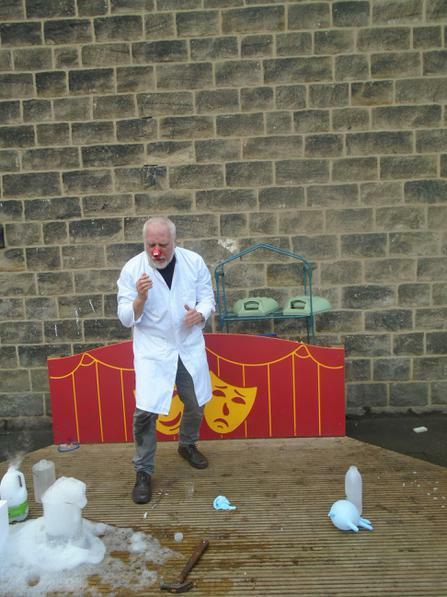 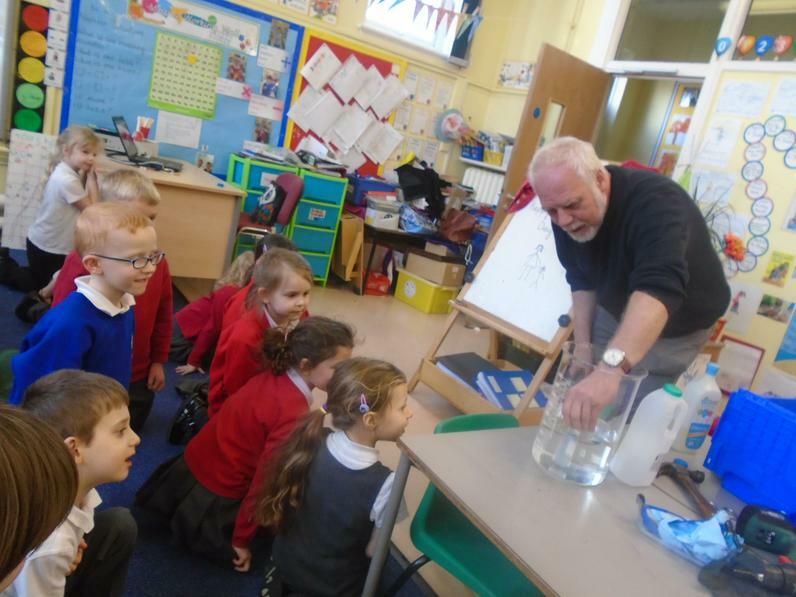 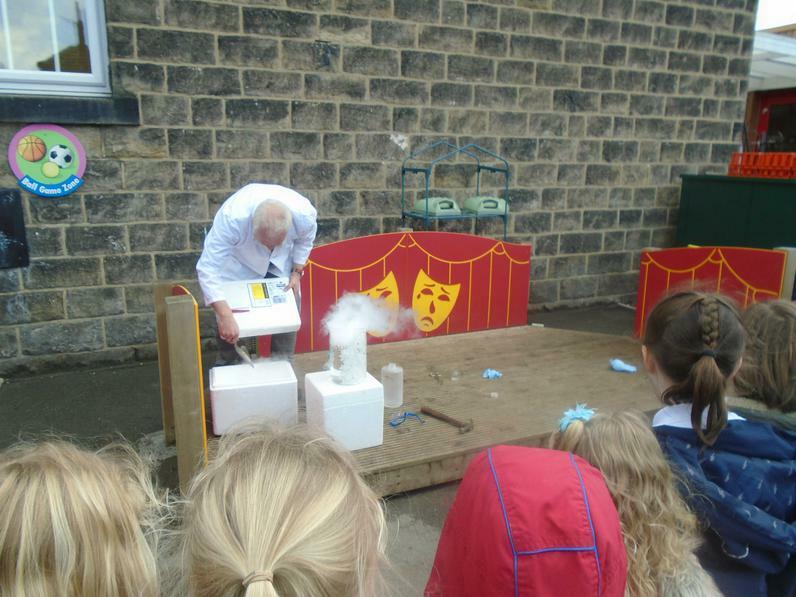 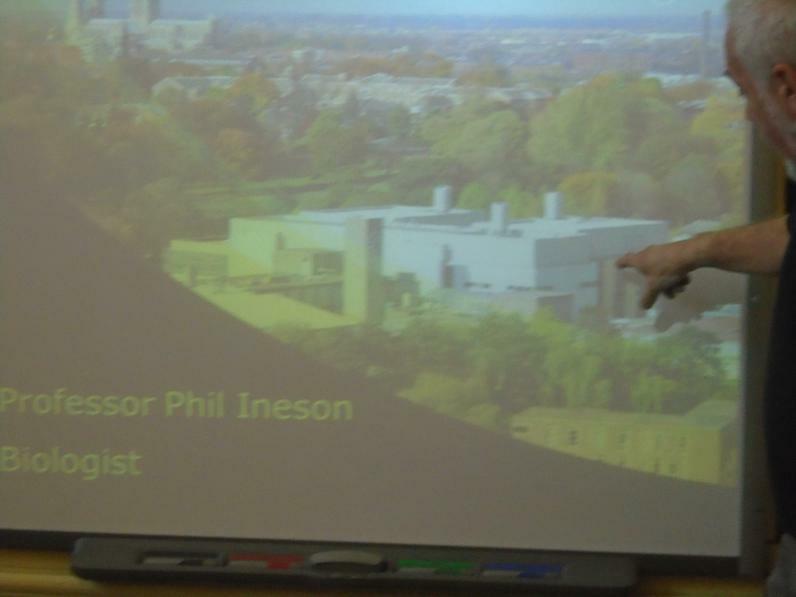 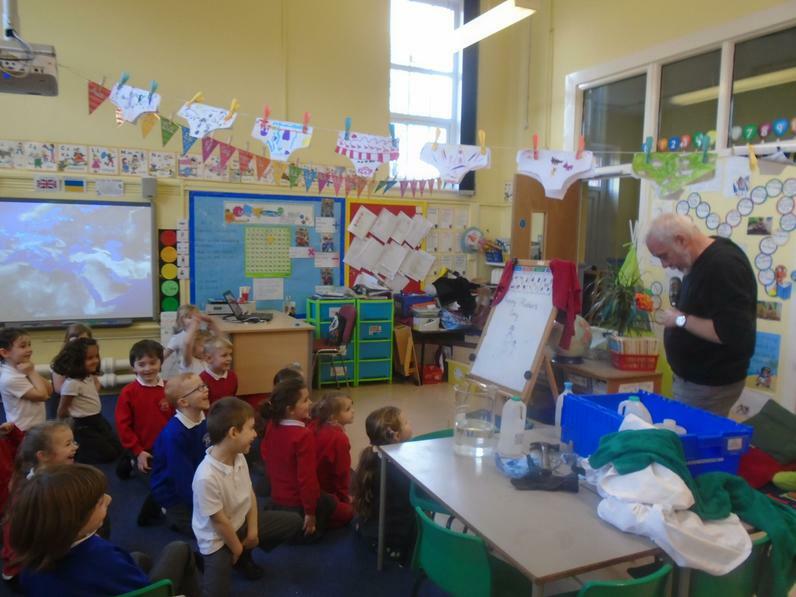 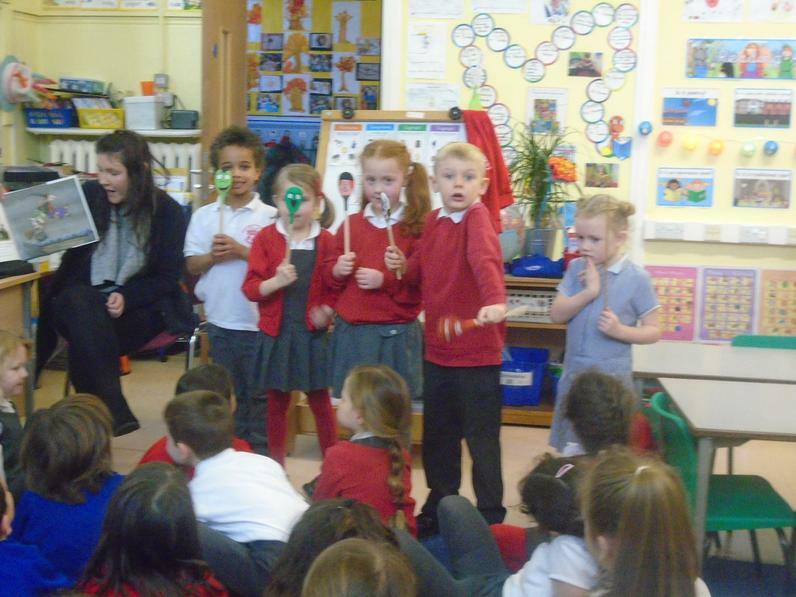 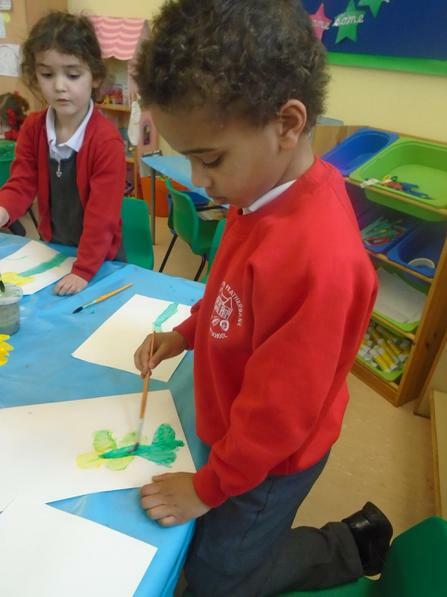 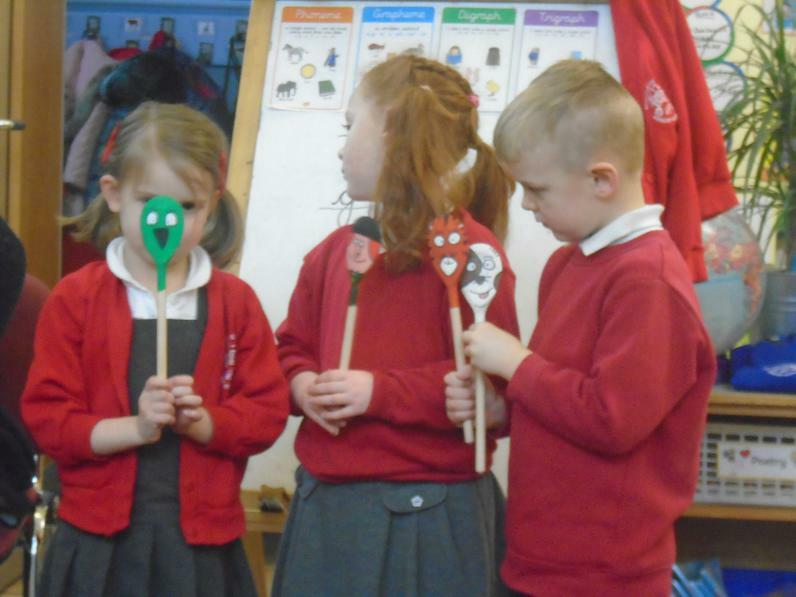 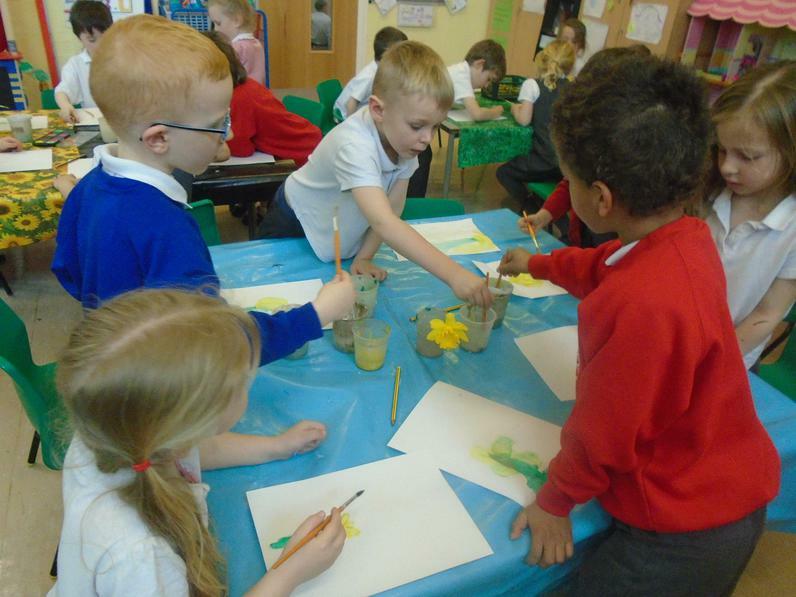 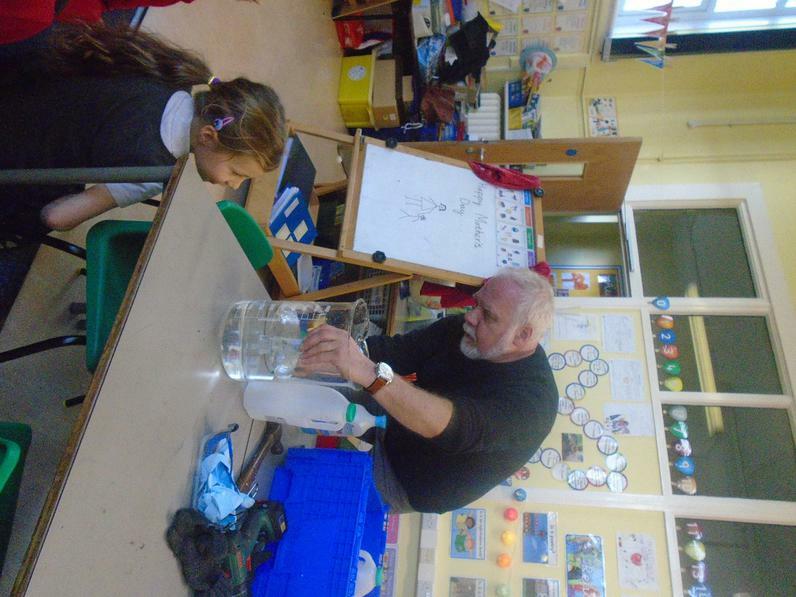 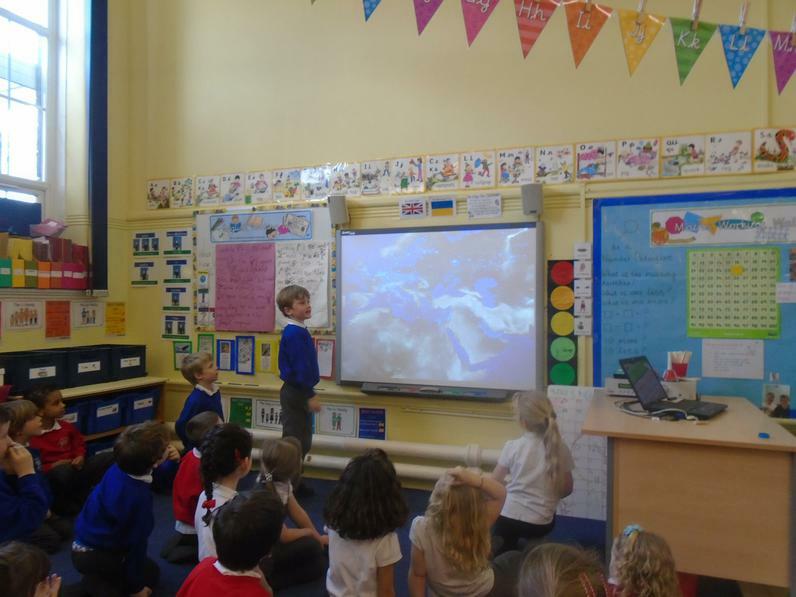 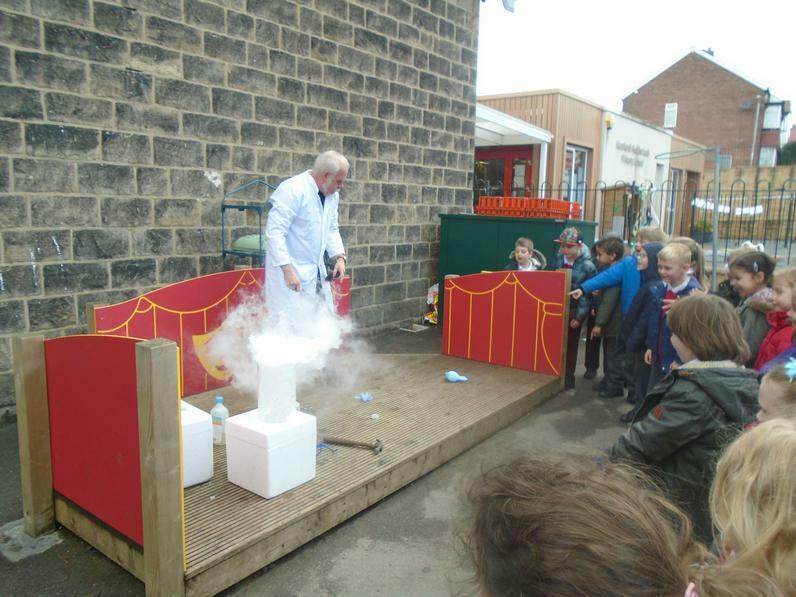 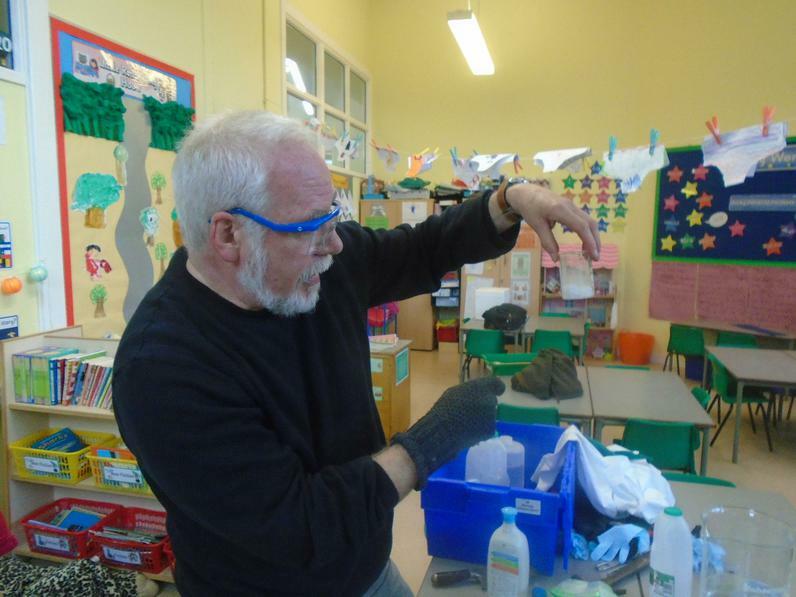 Freddie's Grandad inspired us when he visited during Science Week. 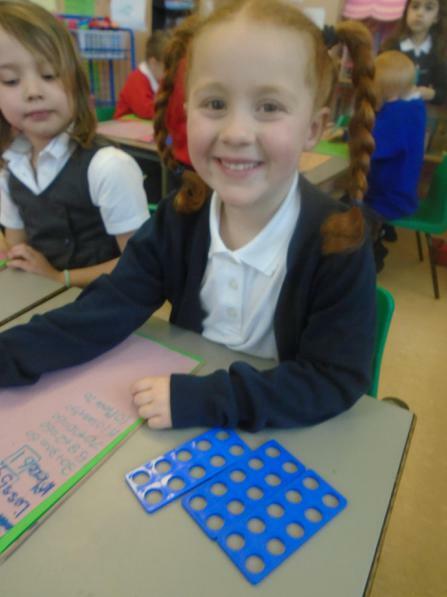 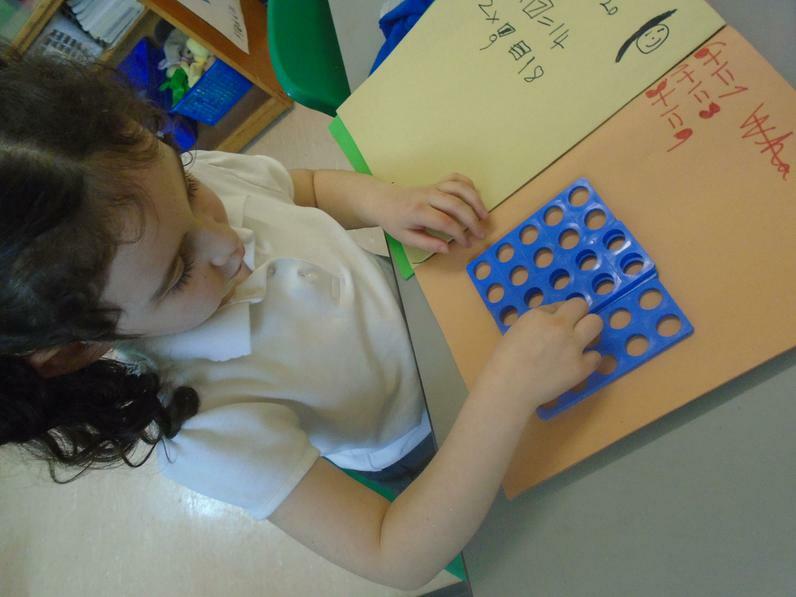 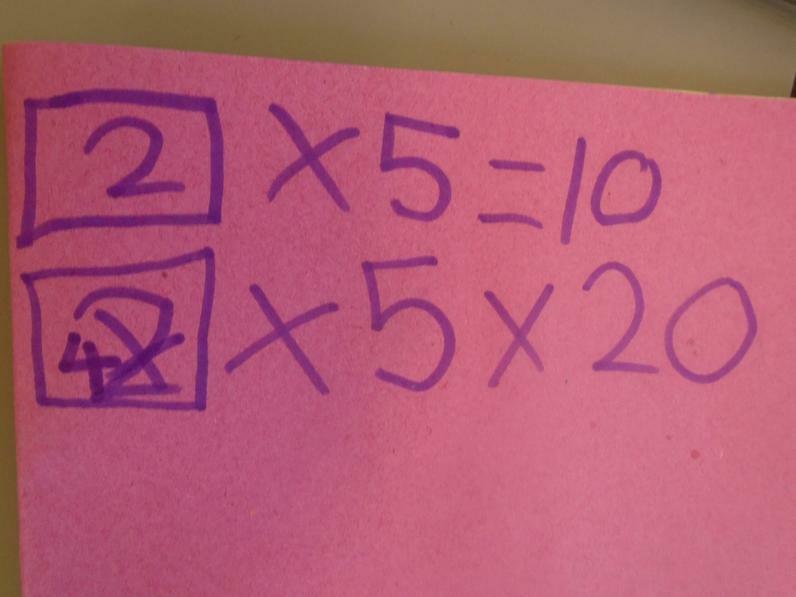 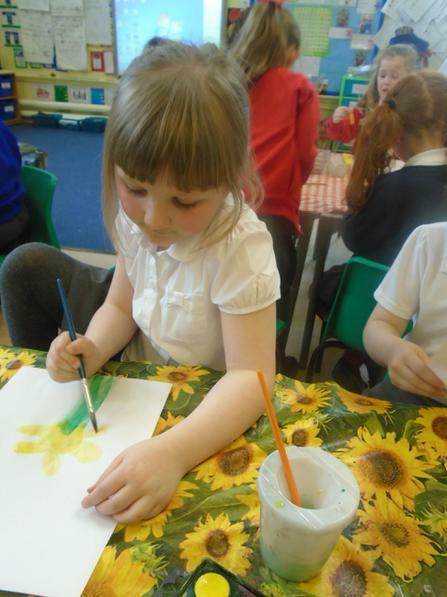 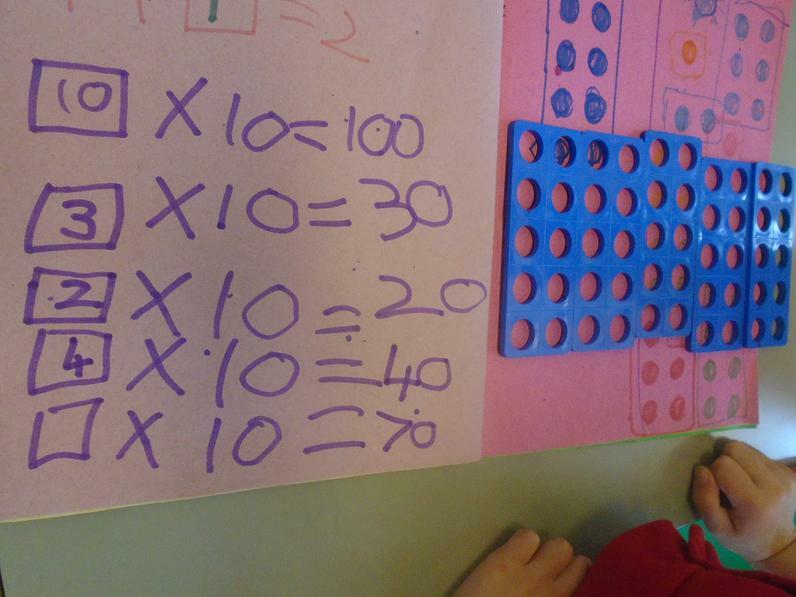 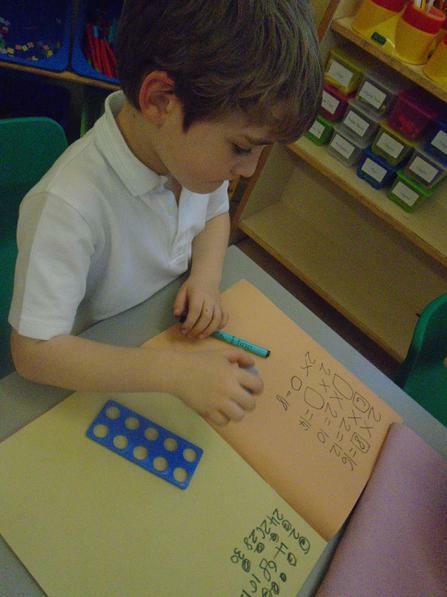 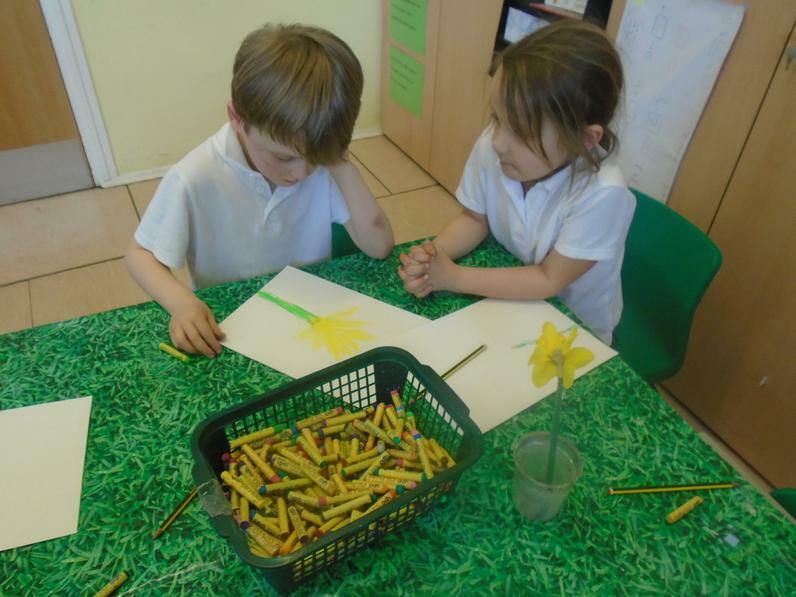 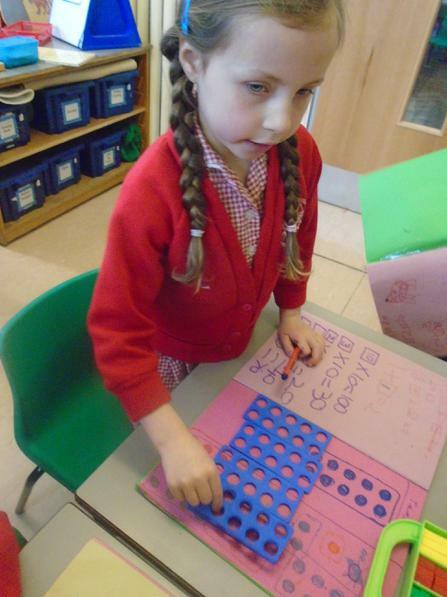 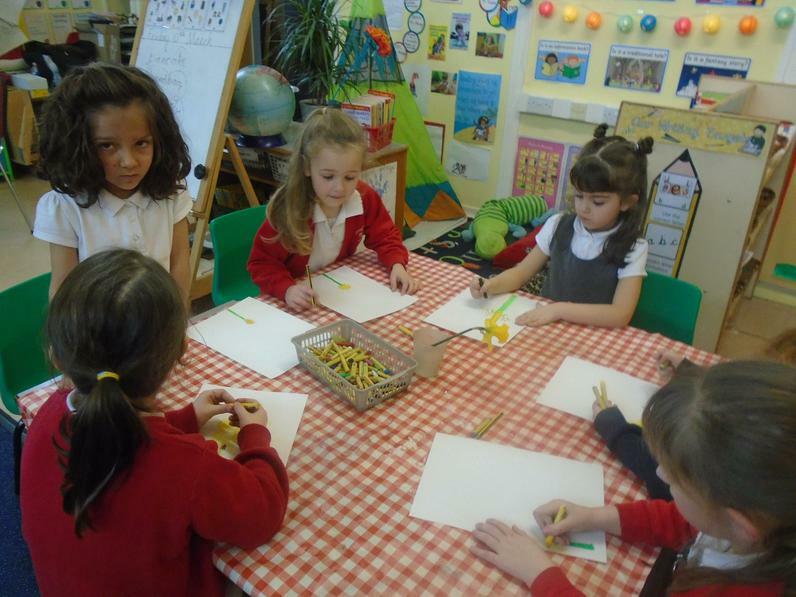 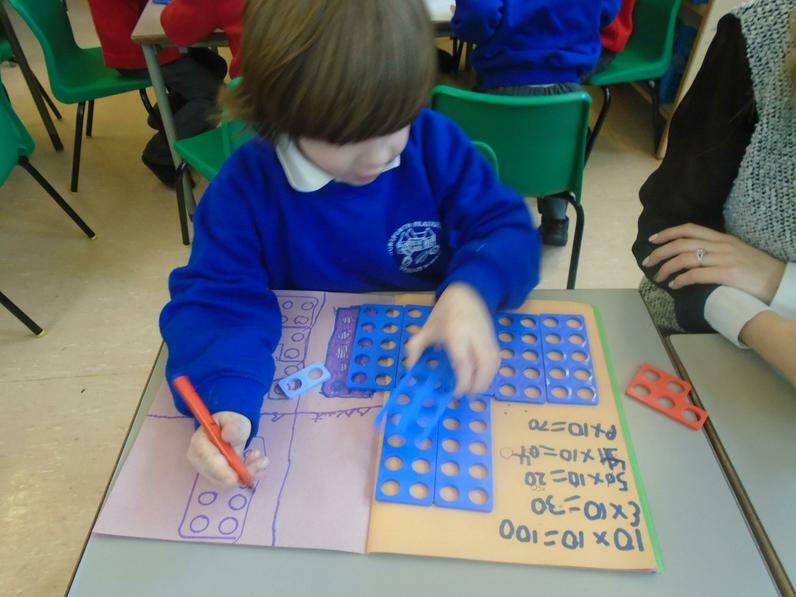 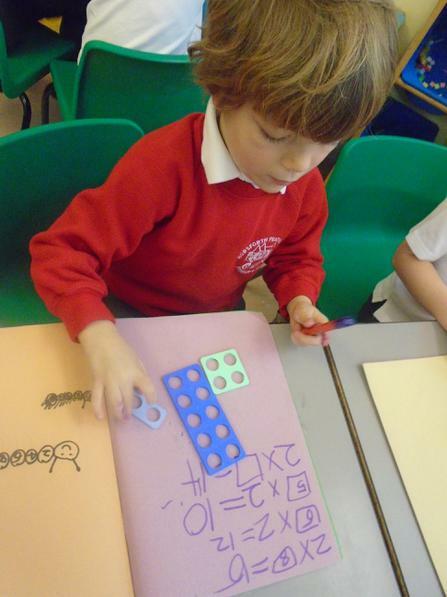 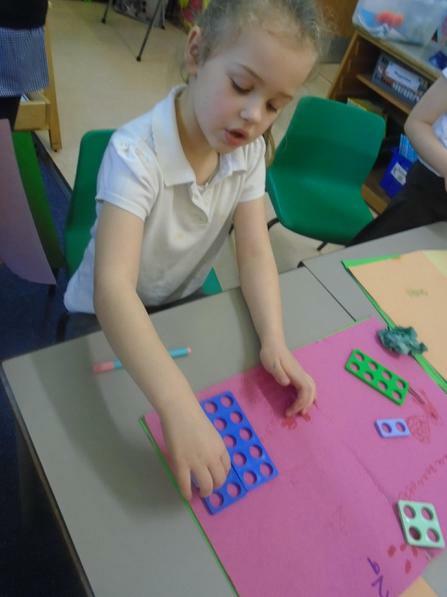 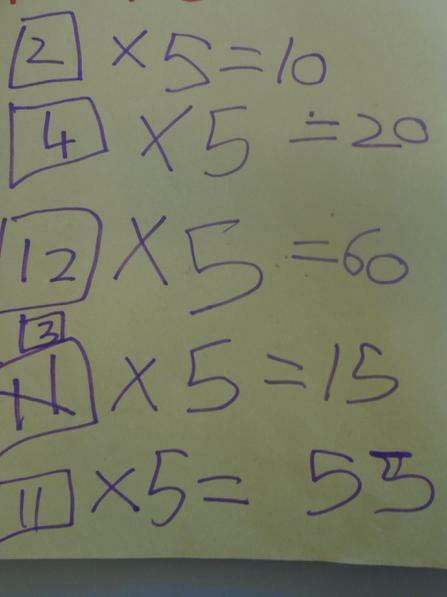 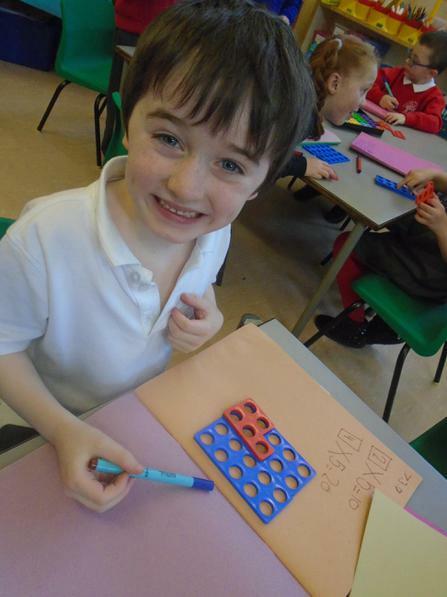 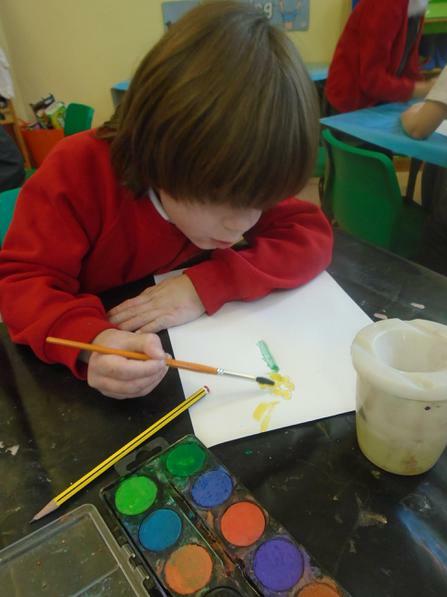 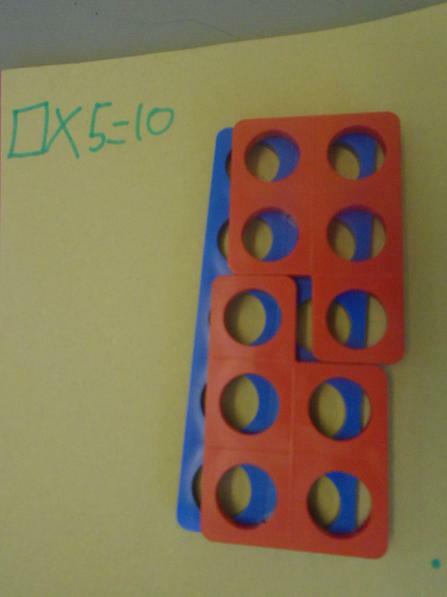 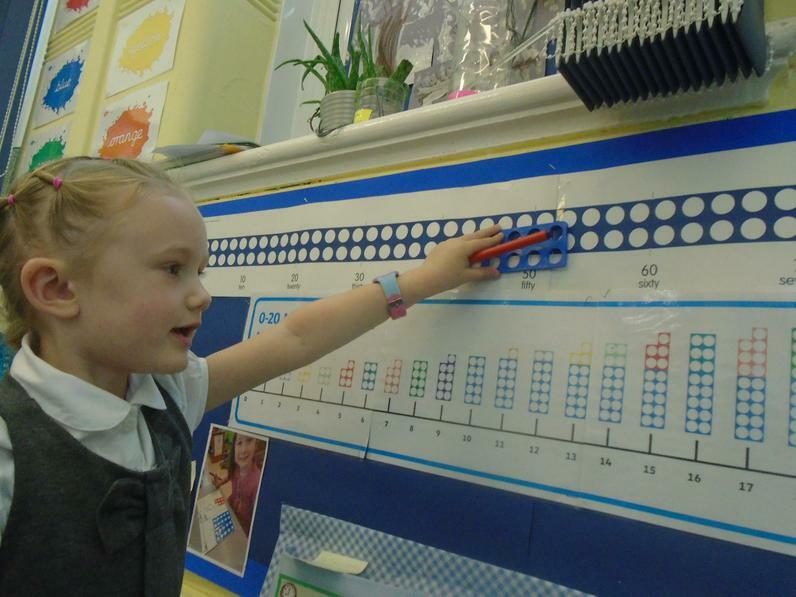 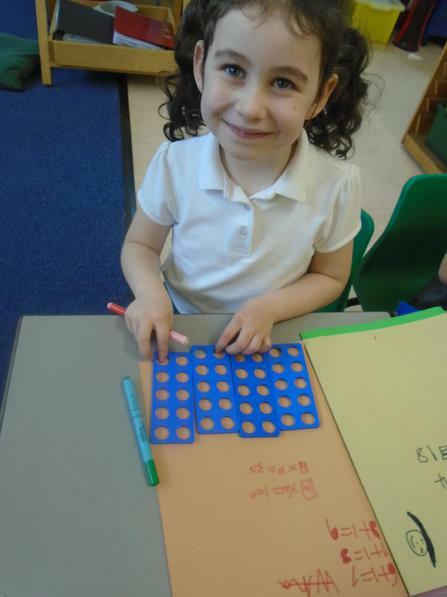 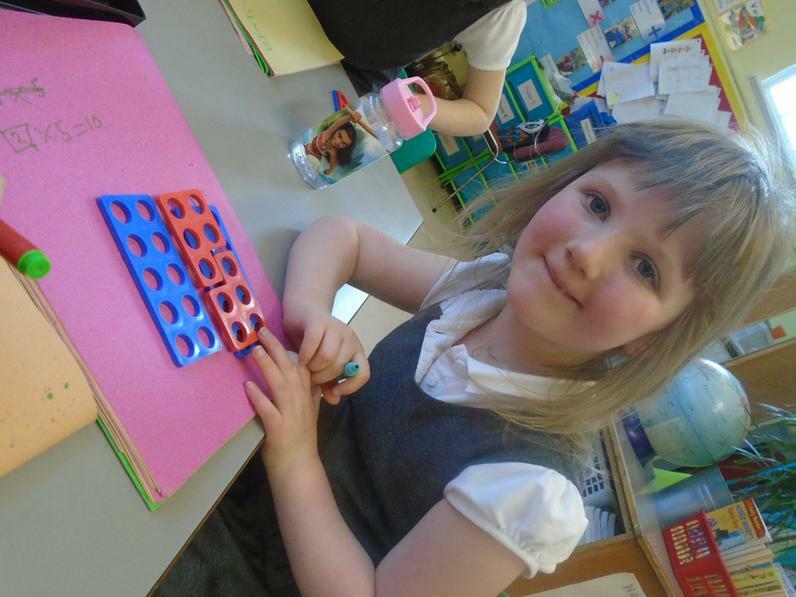 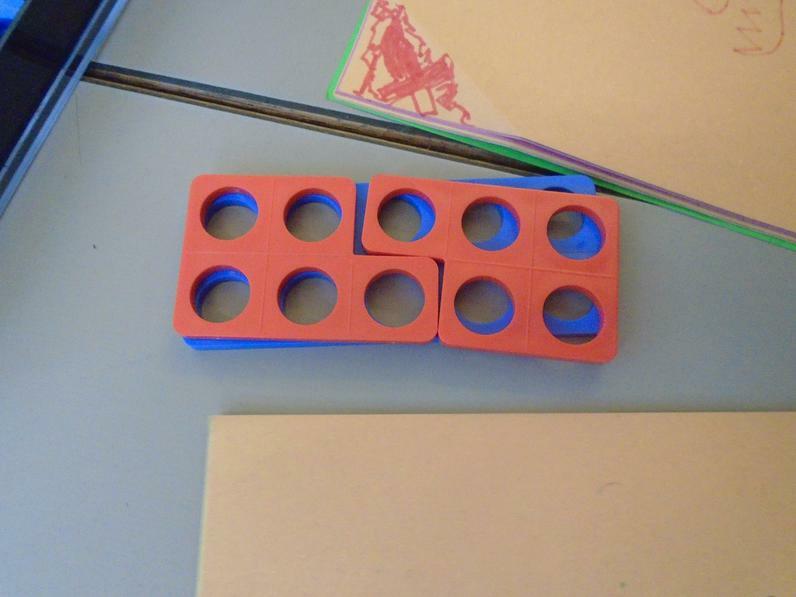 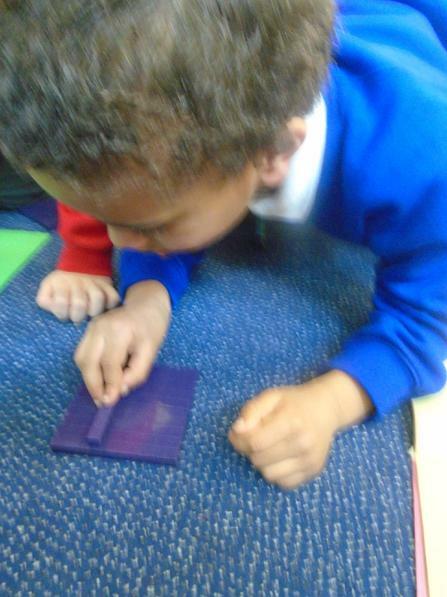 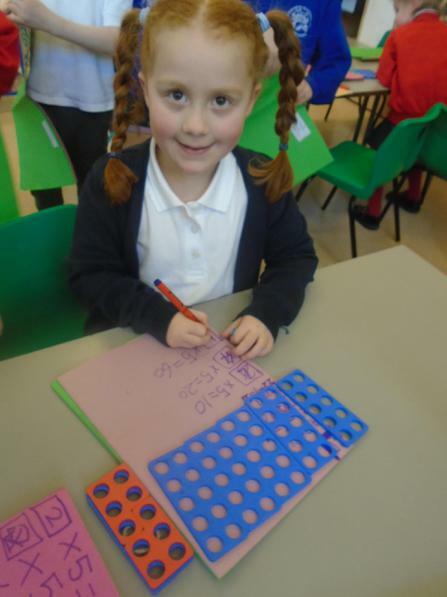 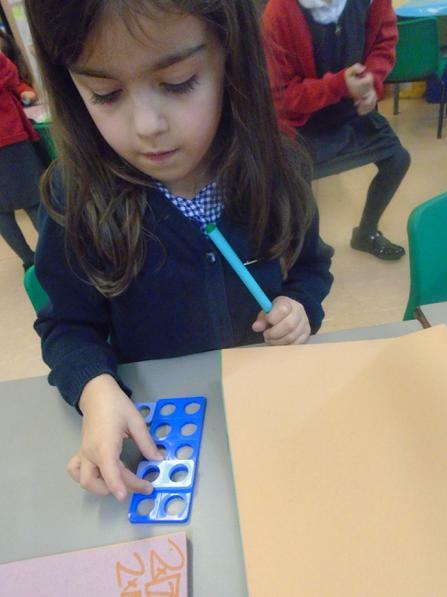 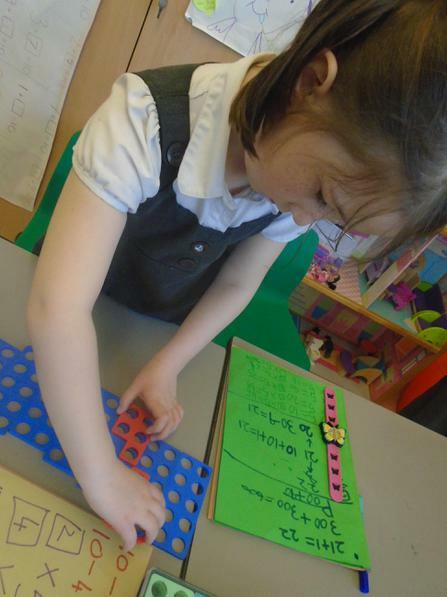 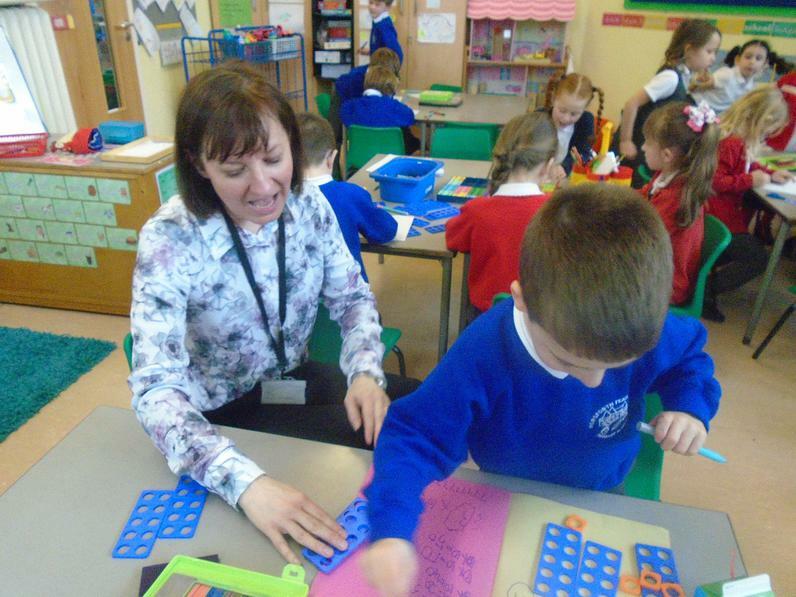 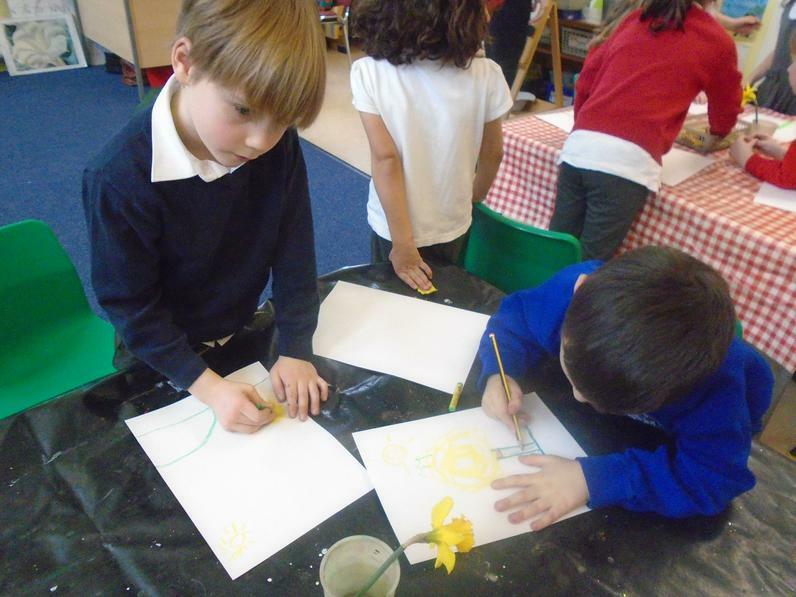 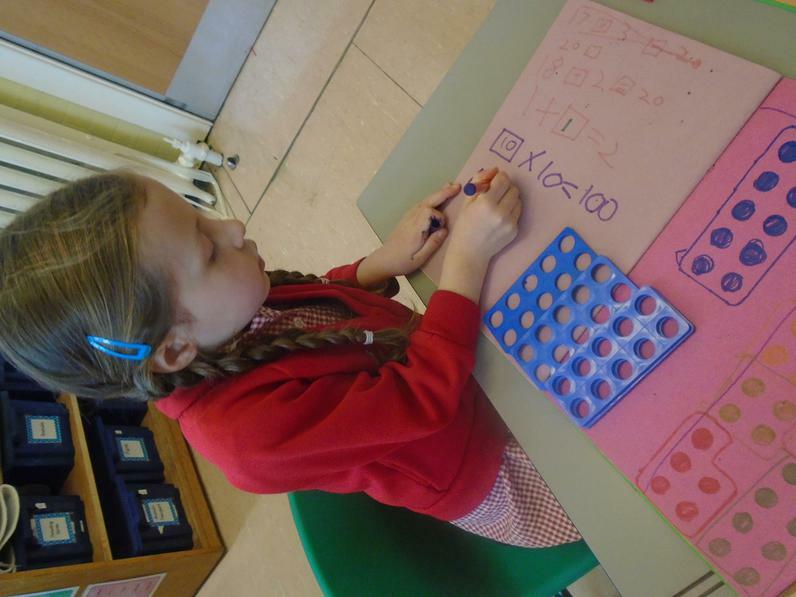 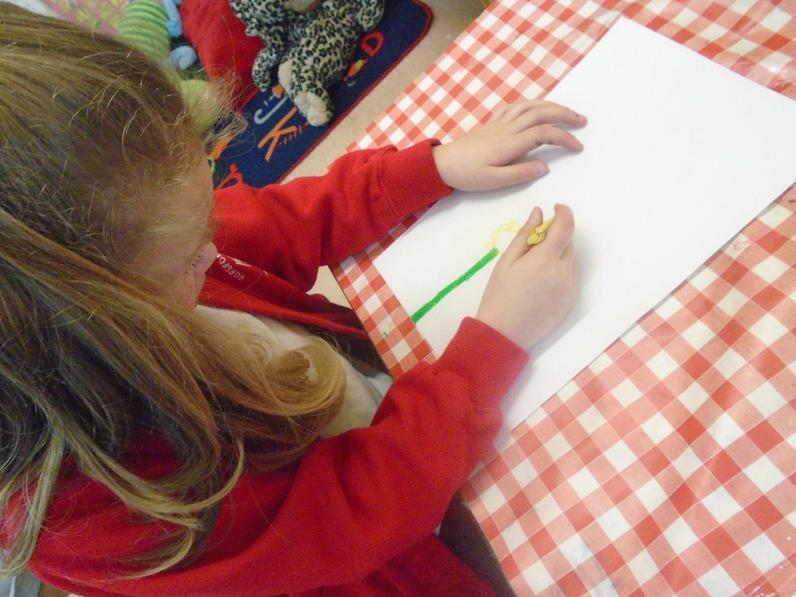 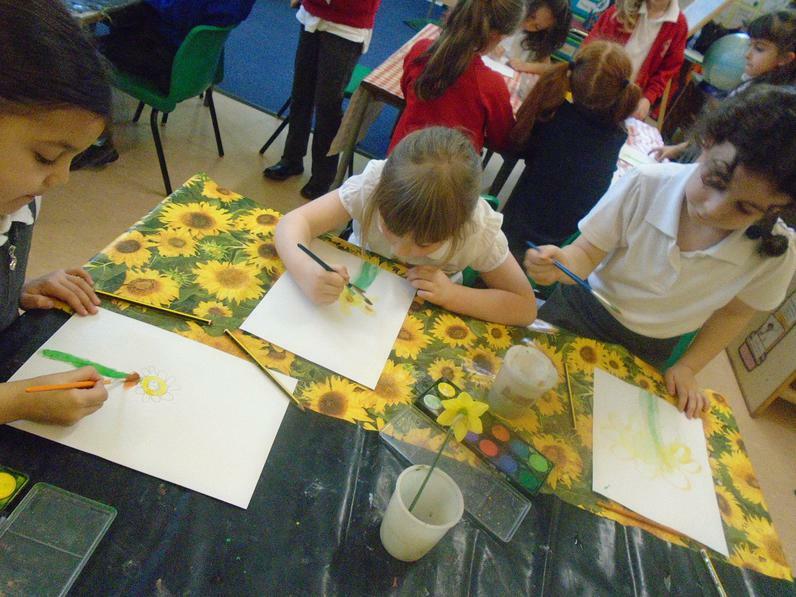 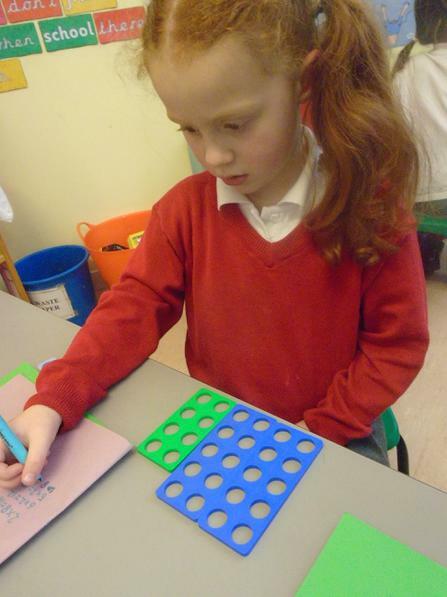 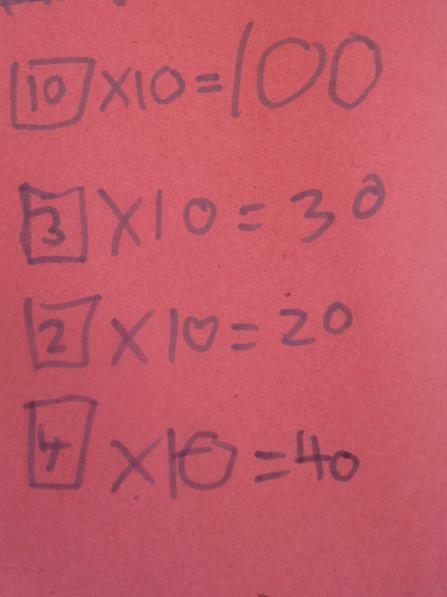 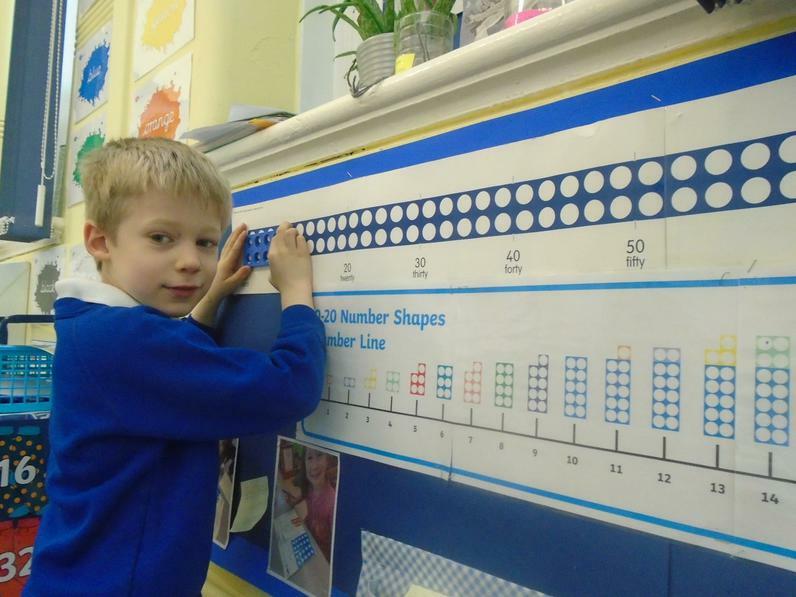 We have been finding 'lots of' using multi-sensory maths. 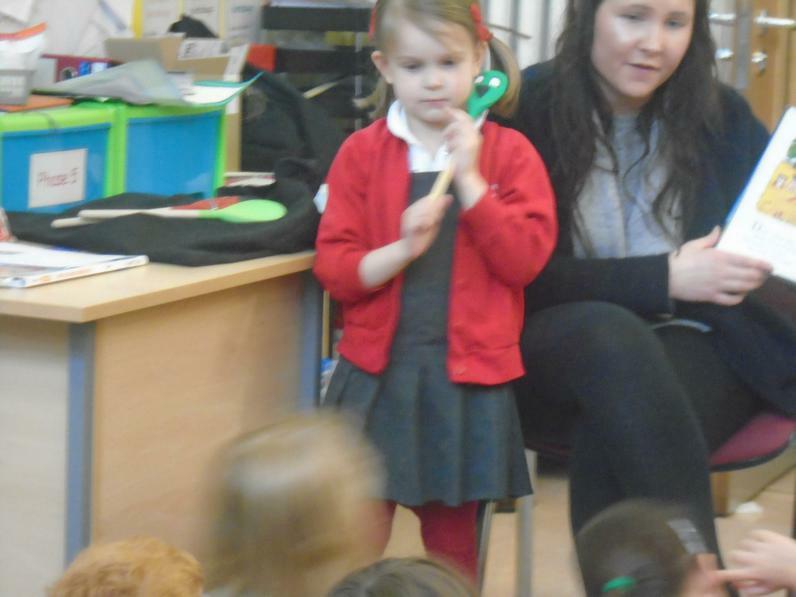 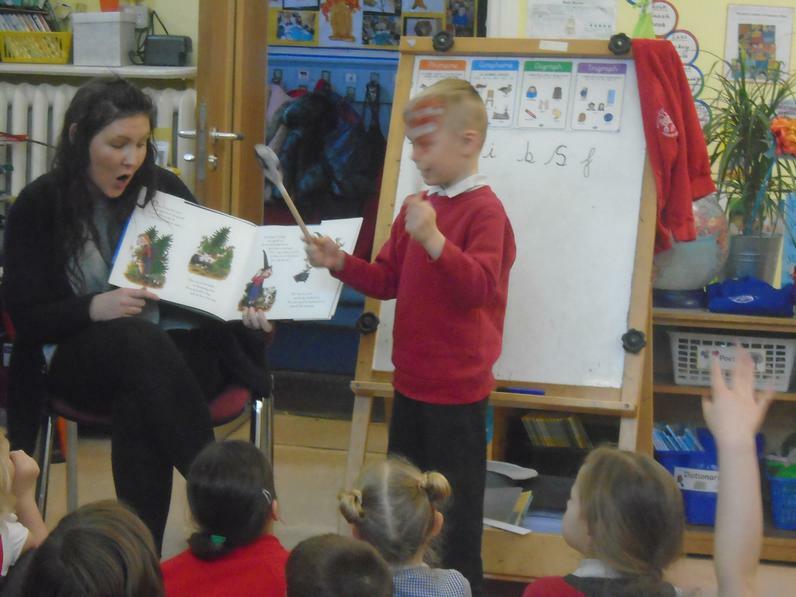 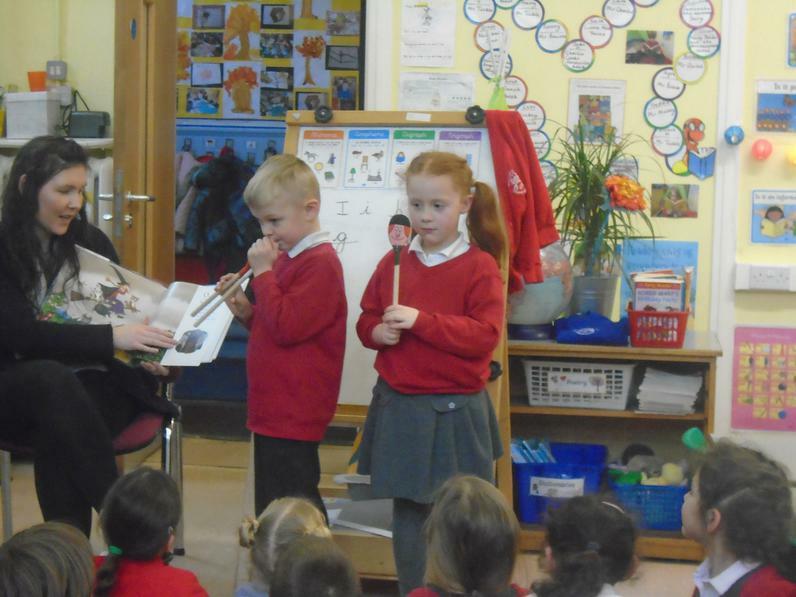 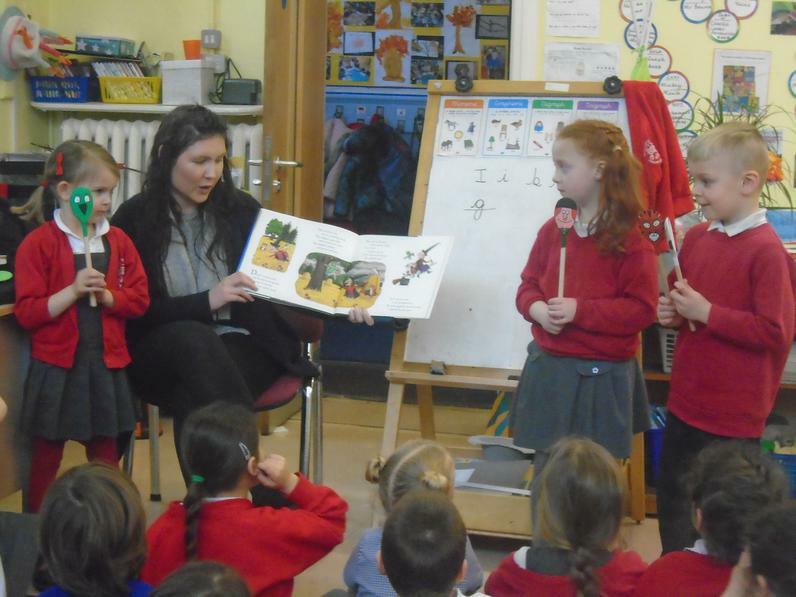 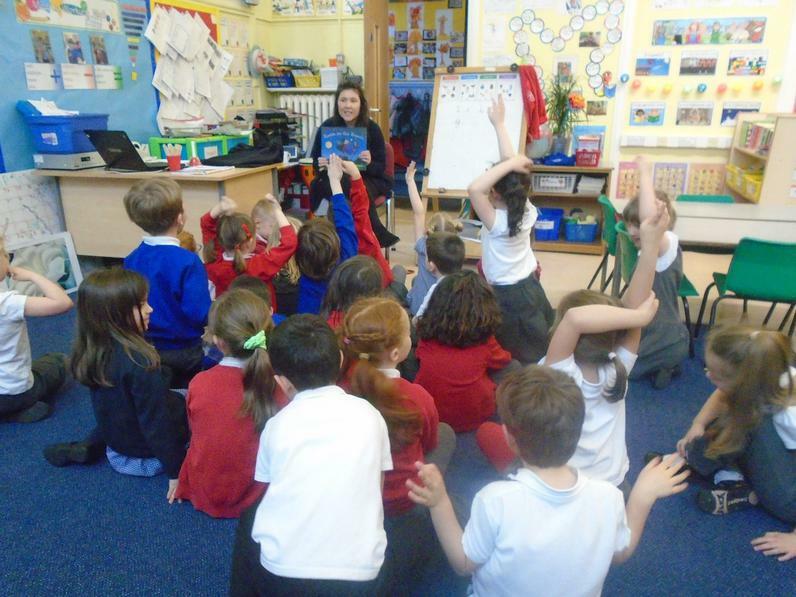 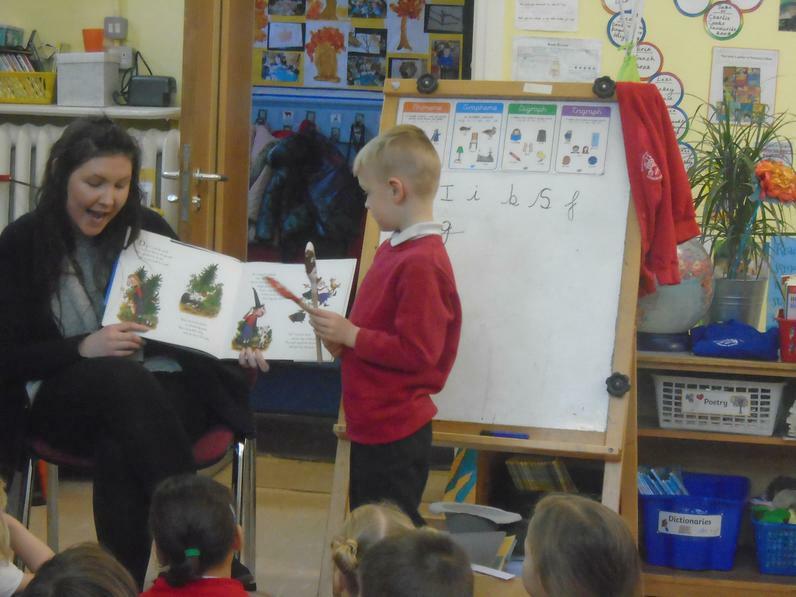 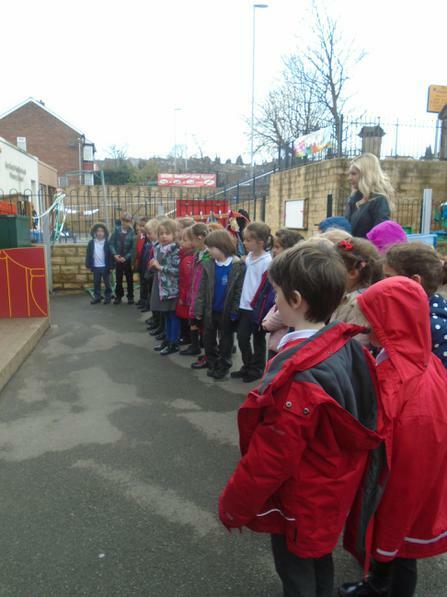 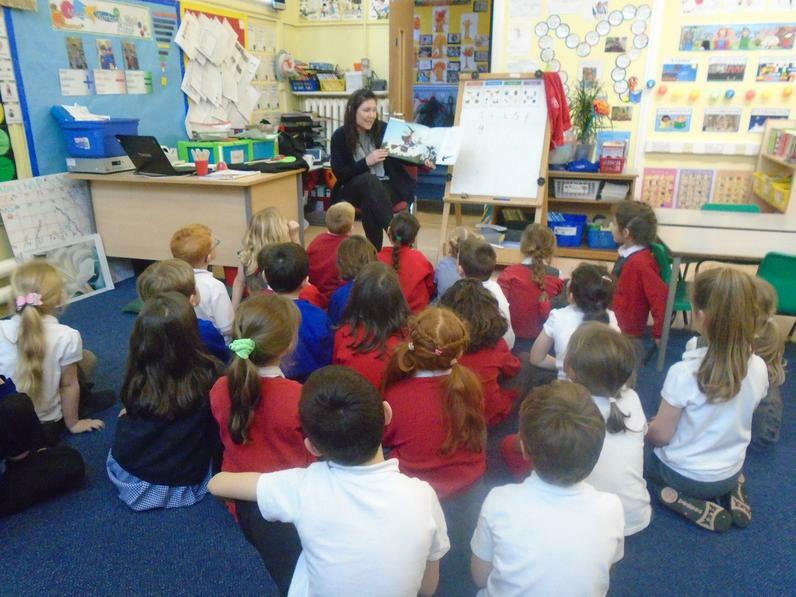 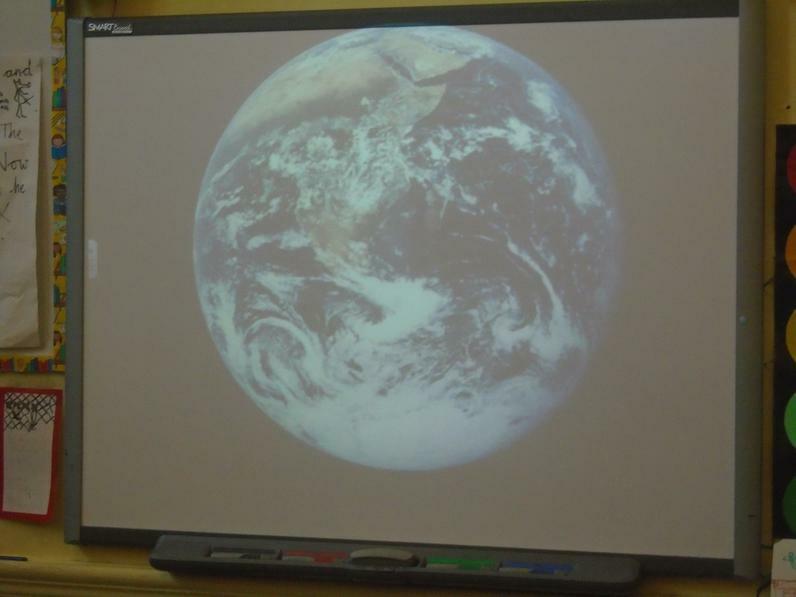 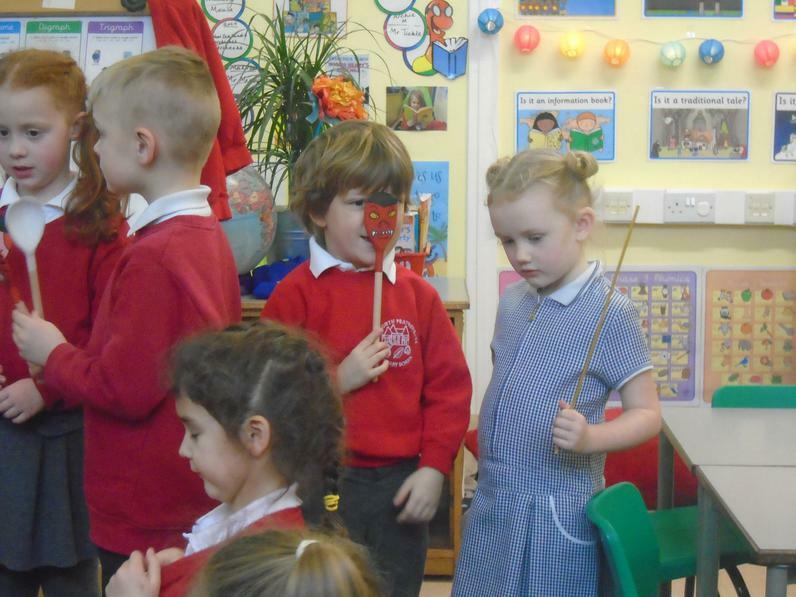 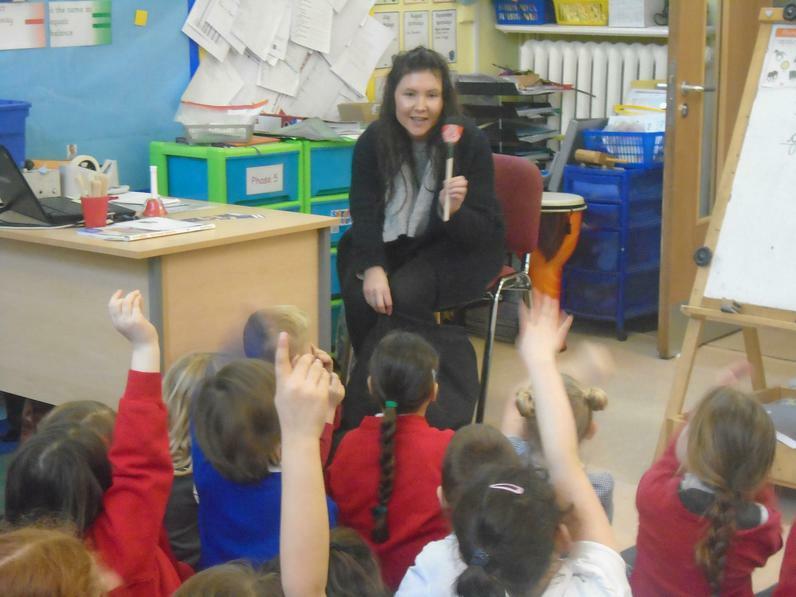 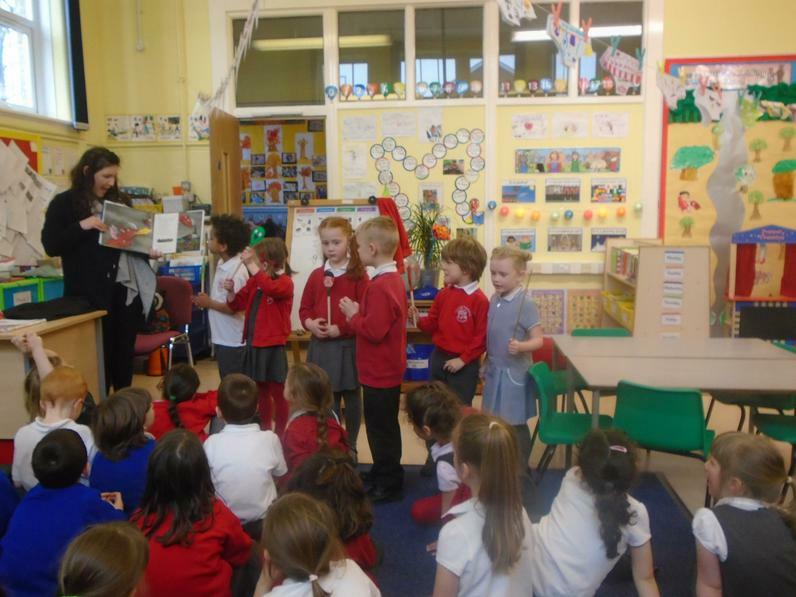 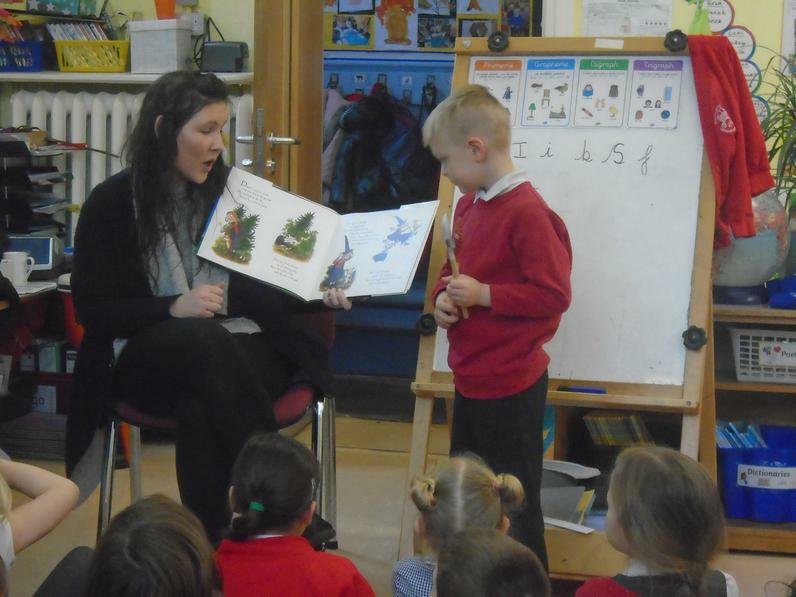 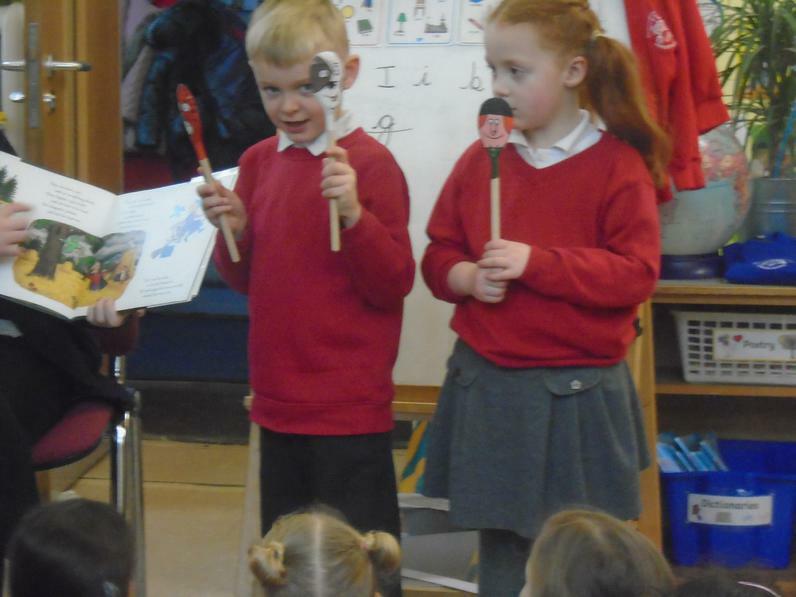 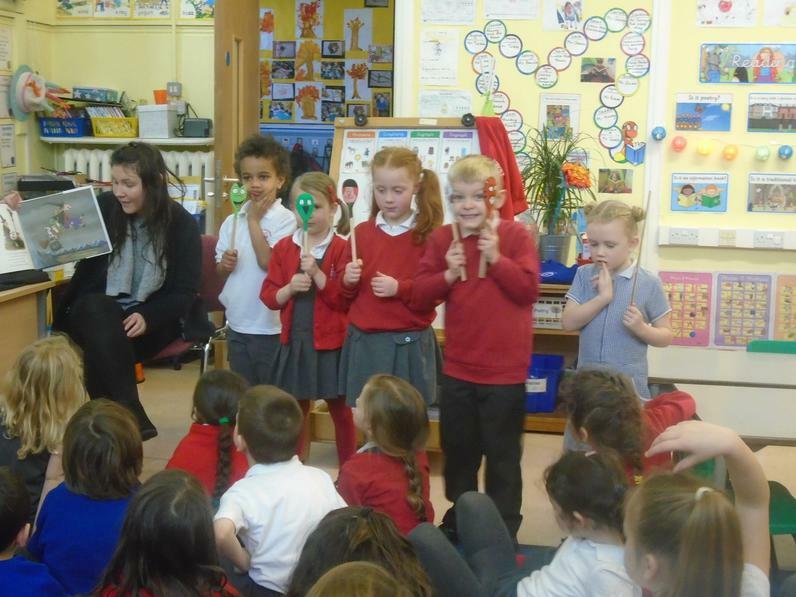 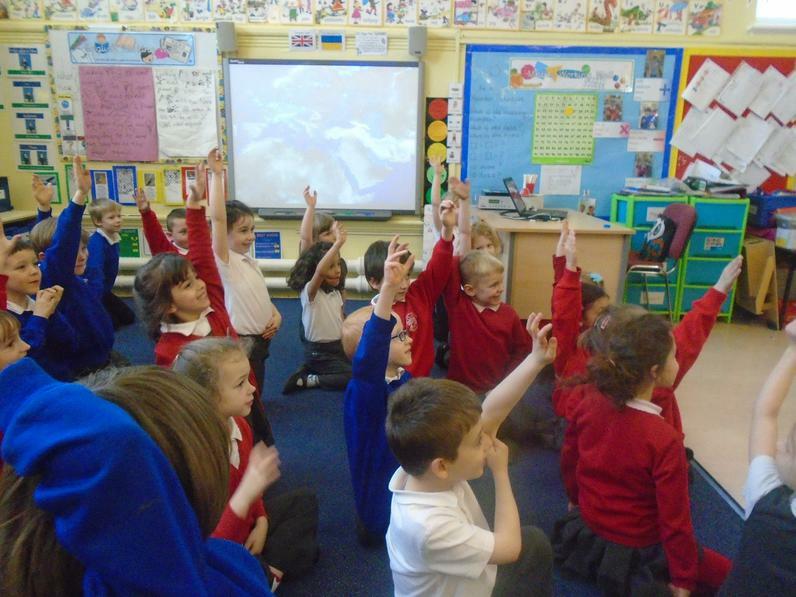 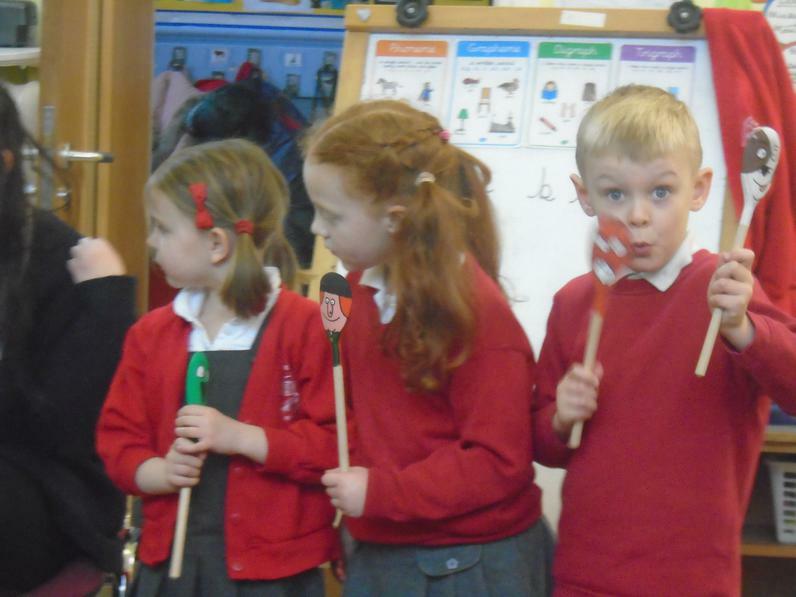 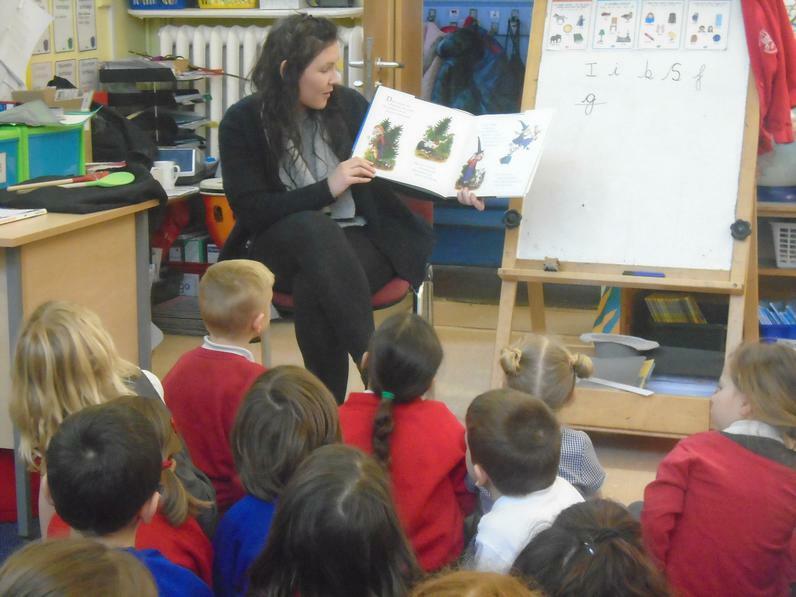 Miss O'Dwyer read us a story as part of our World Book Day activites. 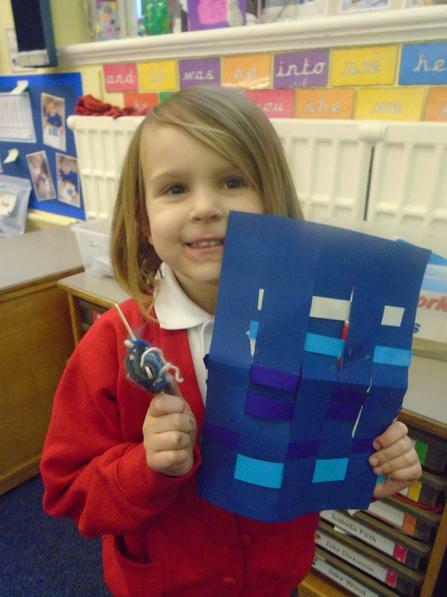 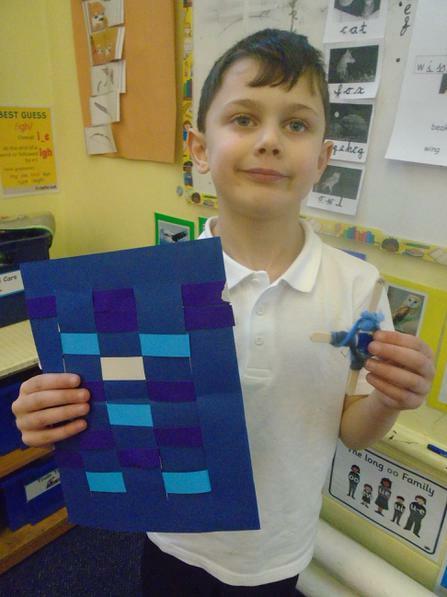 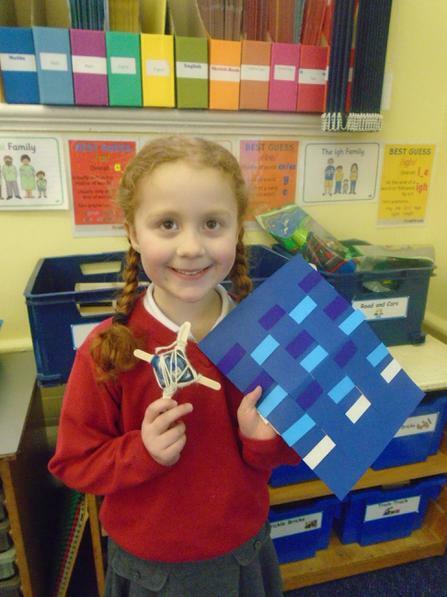 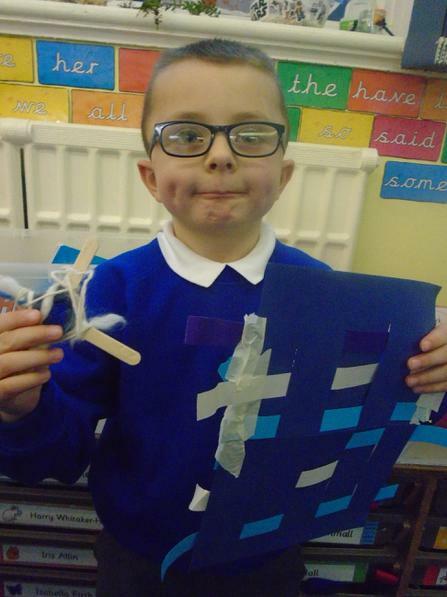 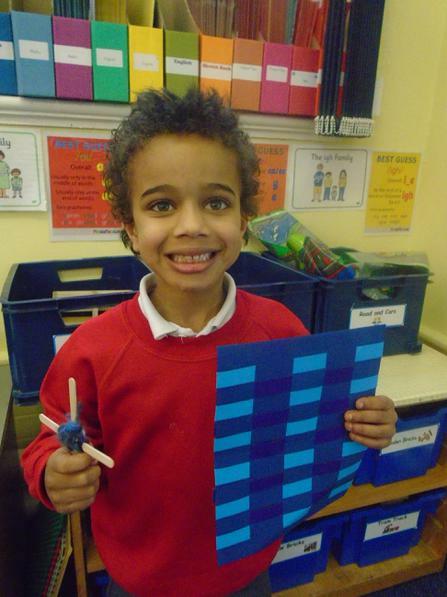 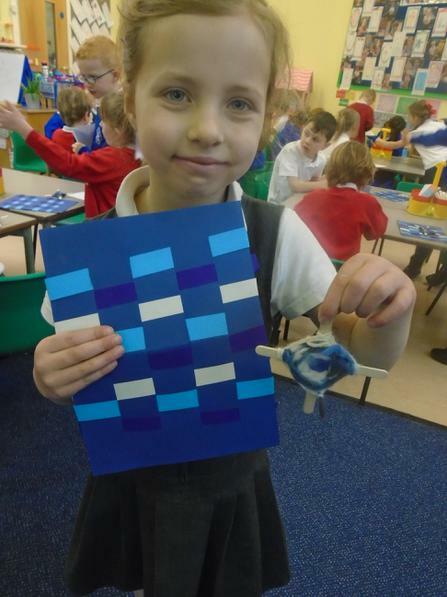 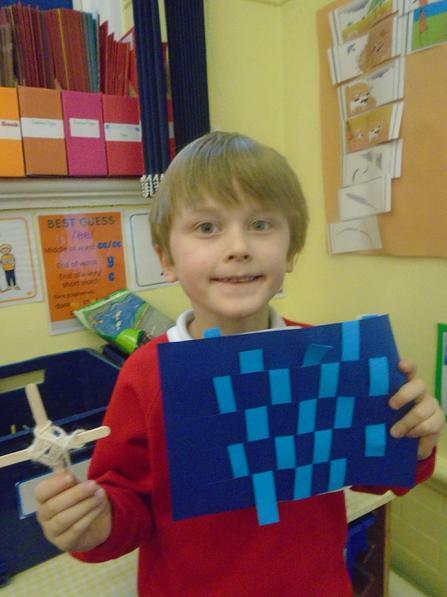 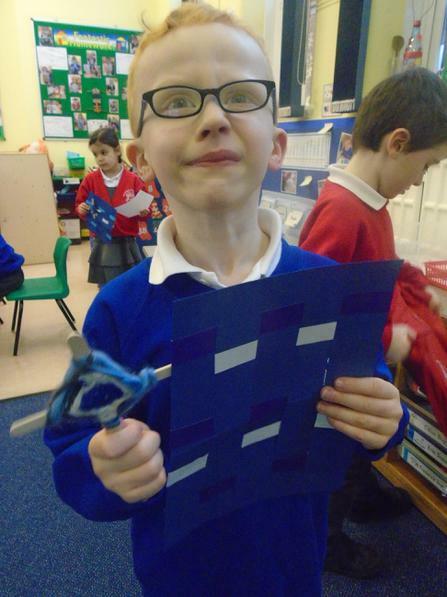 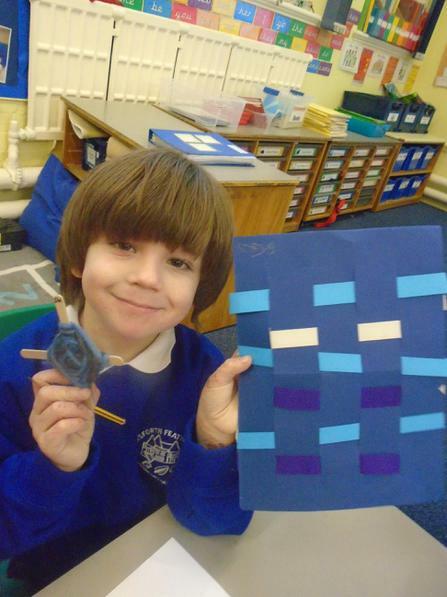 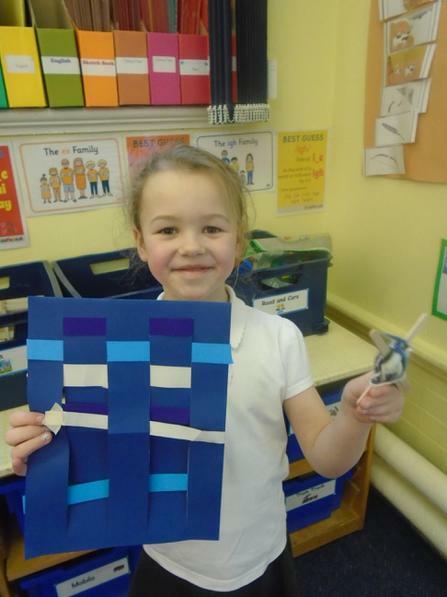 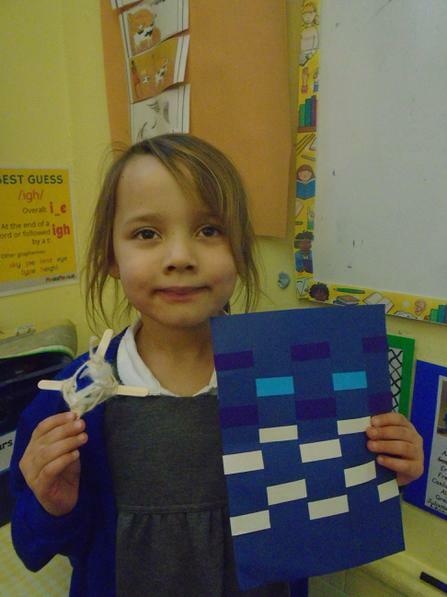 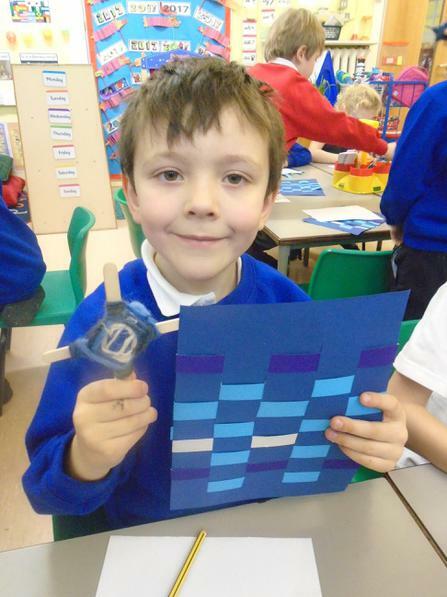 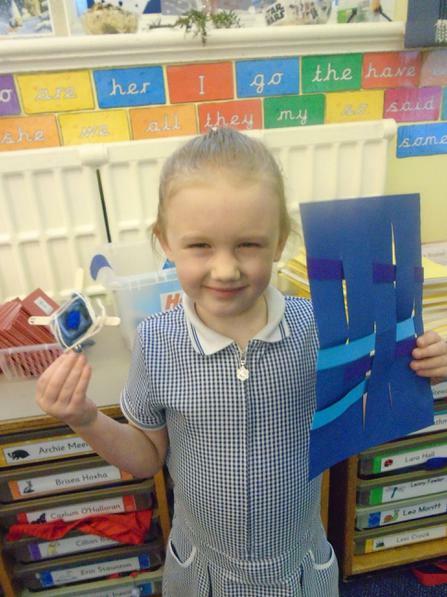 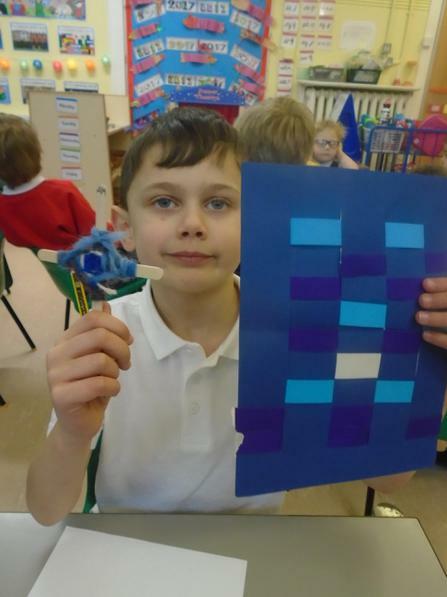 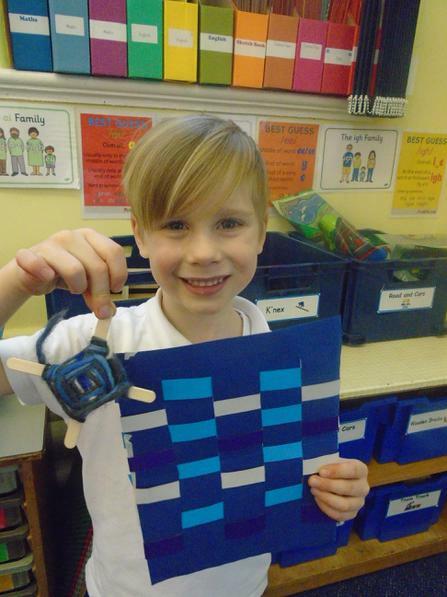 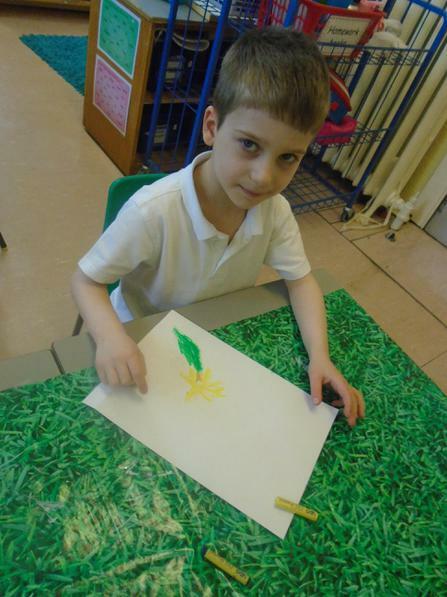 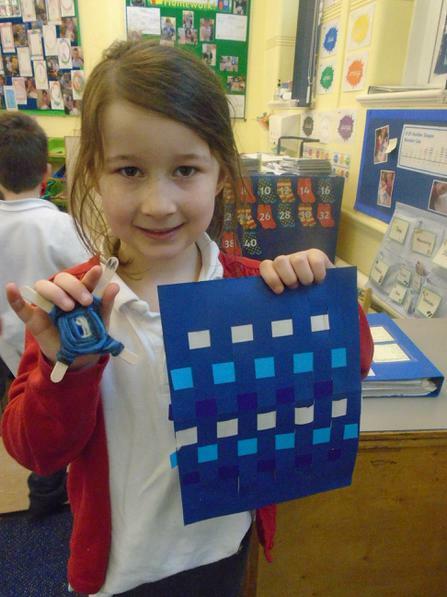 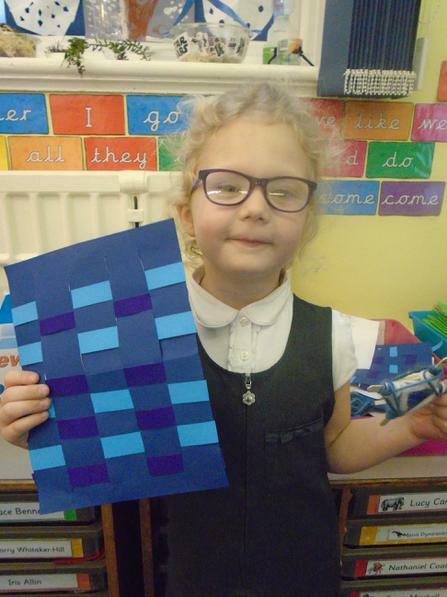 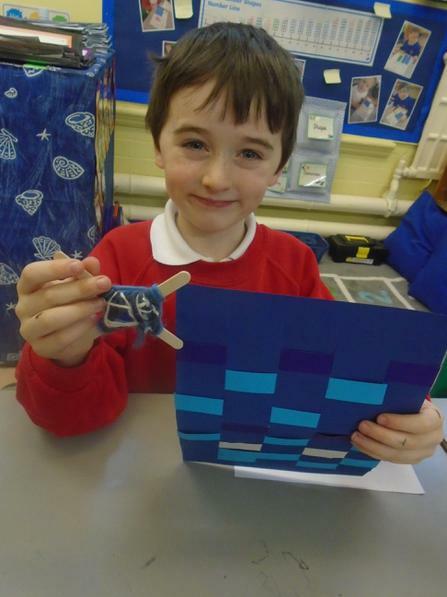 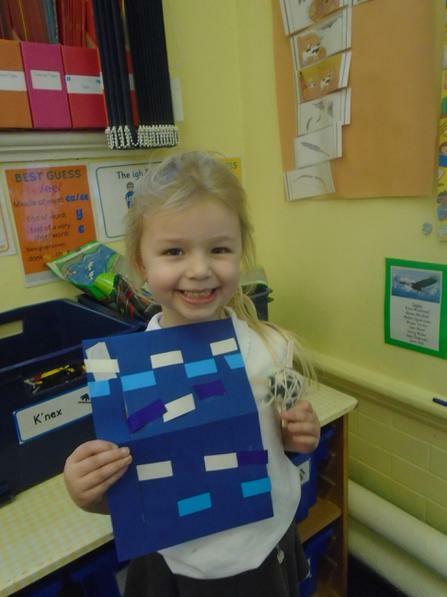 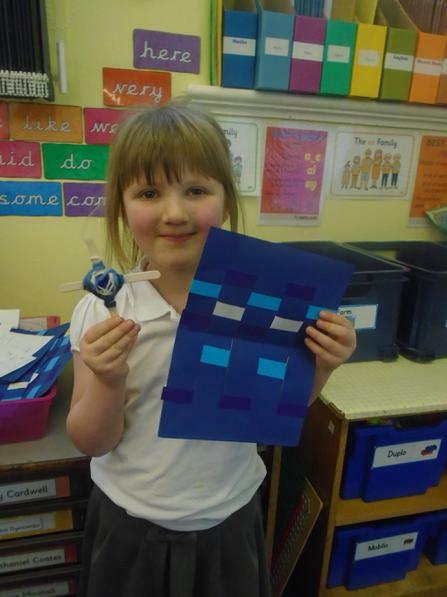 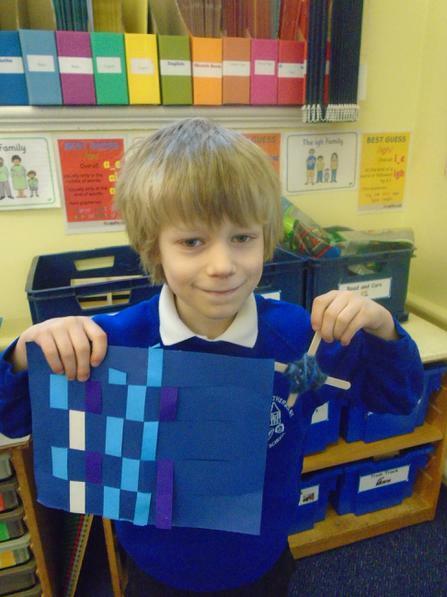 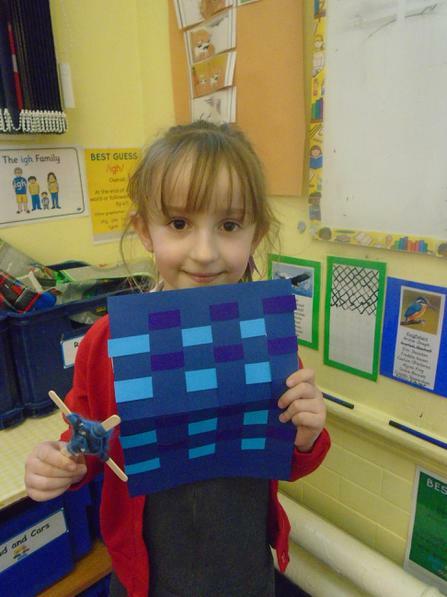 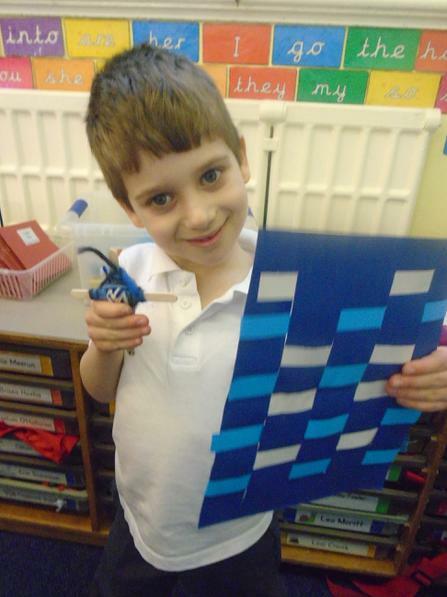 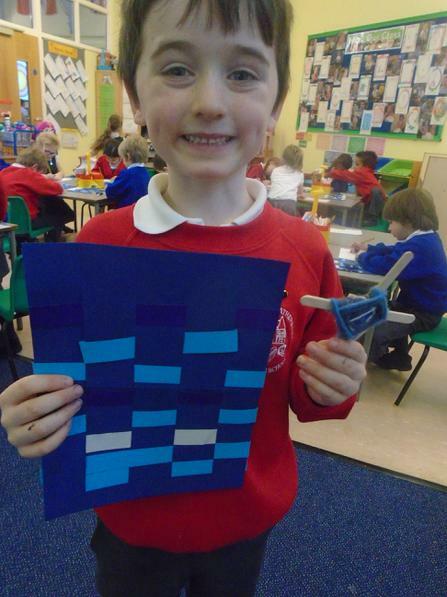 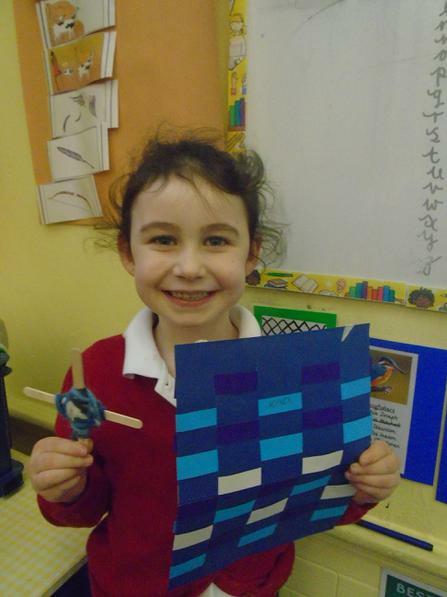 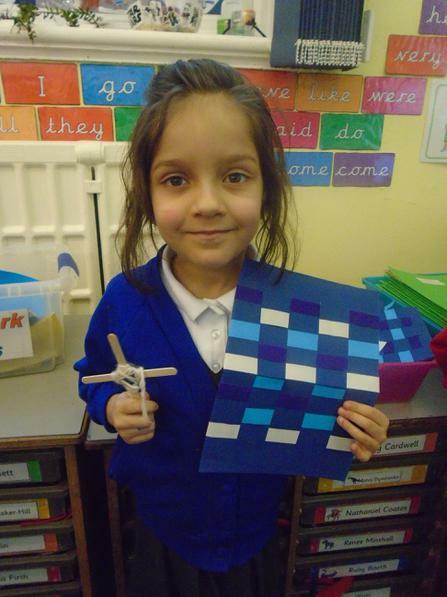 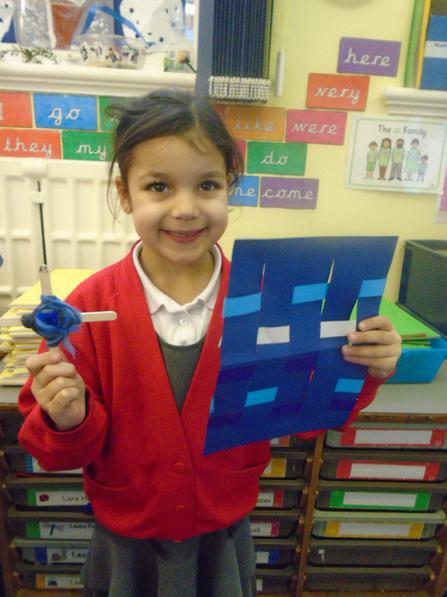 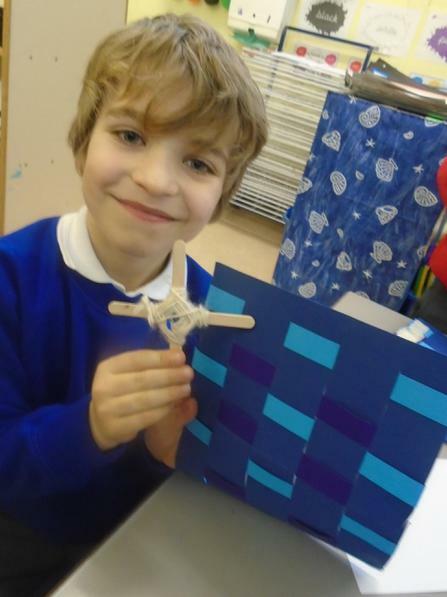 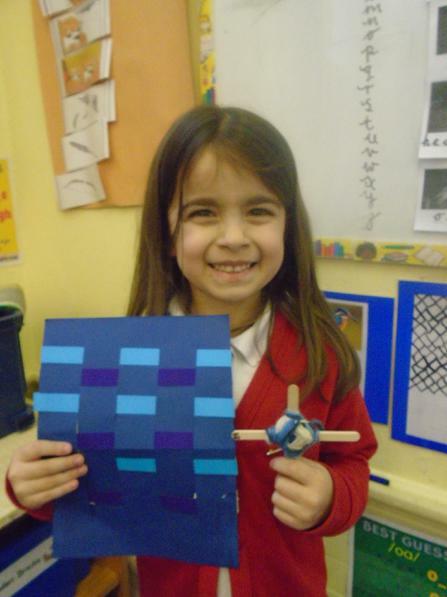 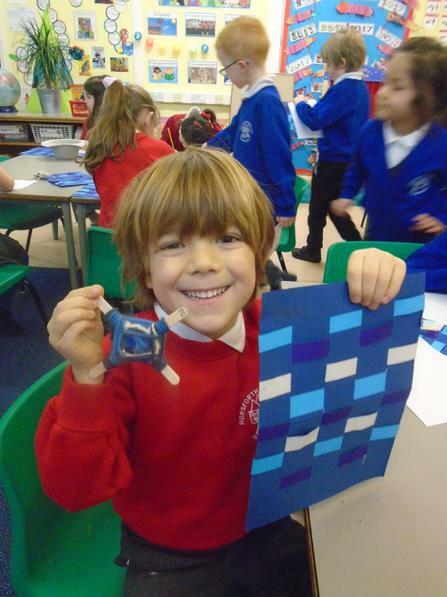 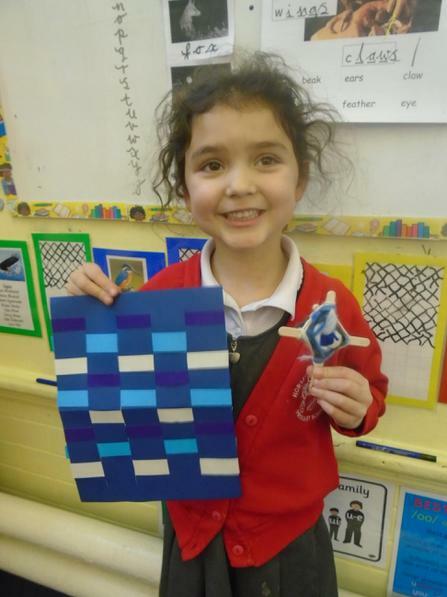 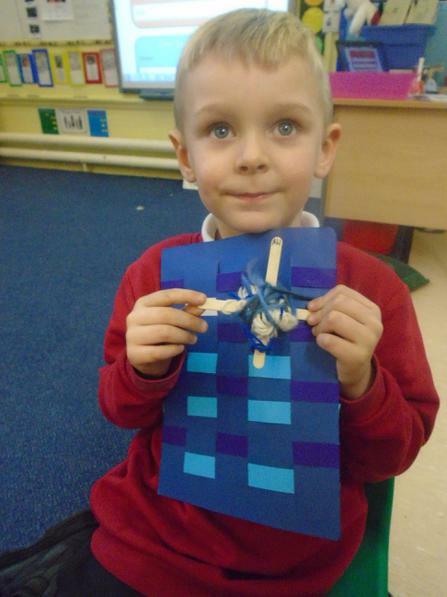 Look at our 'Wonderful Weaving'.